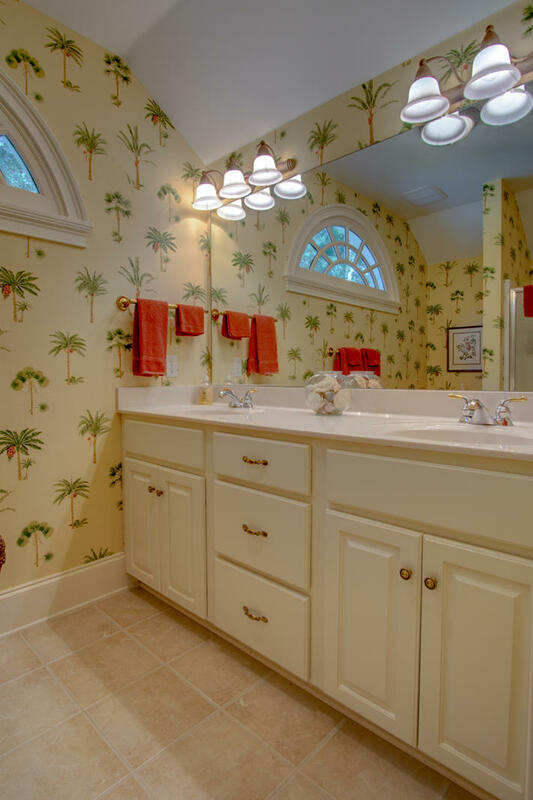 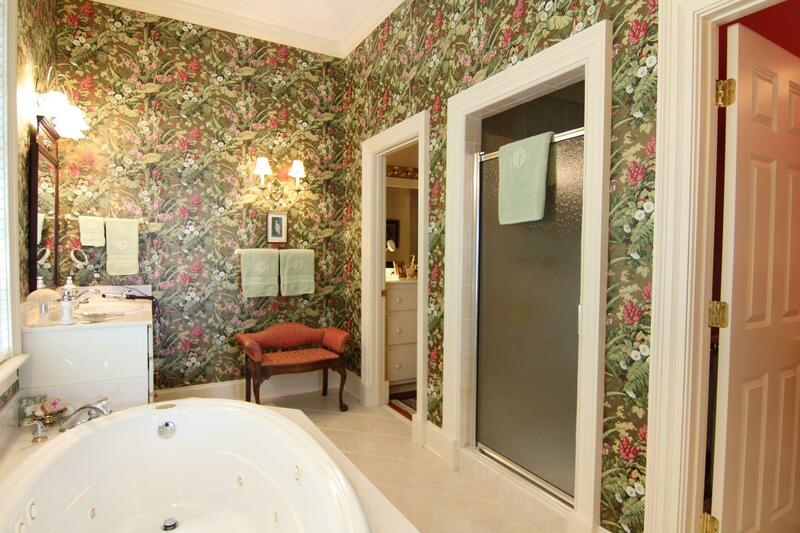 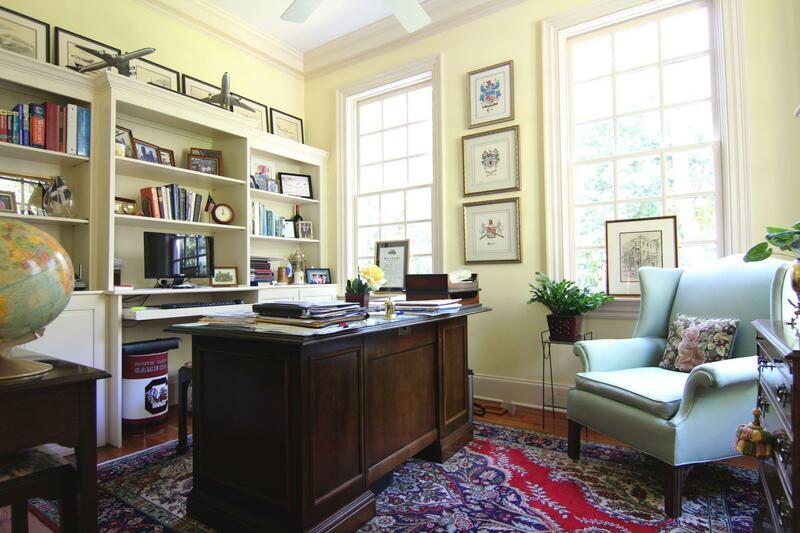 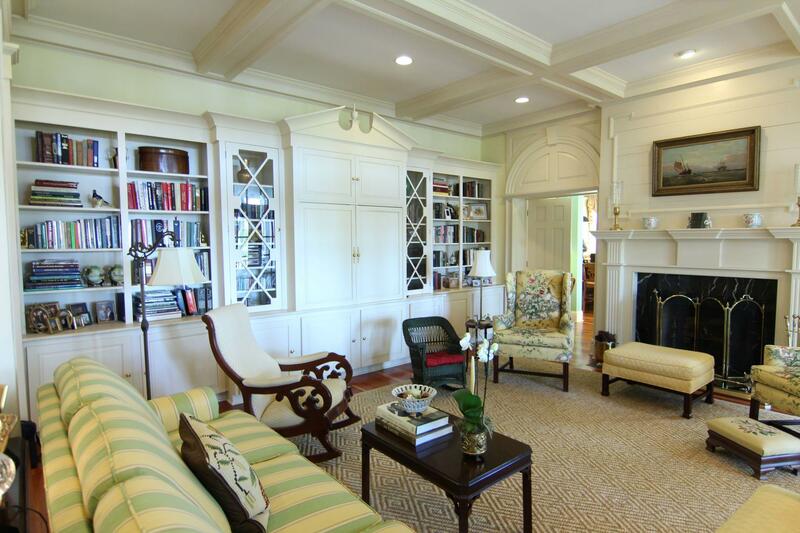 123 Bull Point Drive is a custom home designed by noted Atlanta-based architect Jim Strickland and built in 2000. 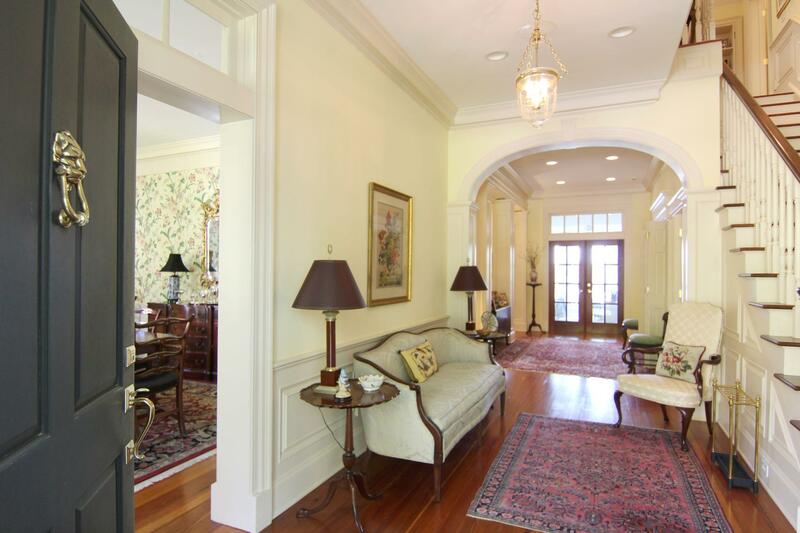 This unique home was designed to include finely detailed period construction with a clever layout resembling a third-generation plantation with modern amenities. 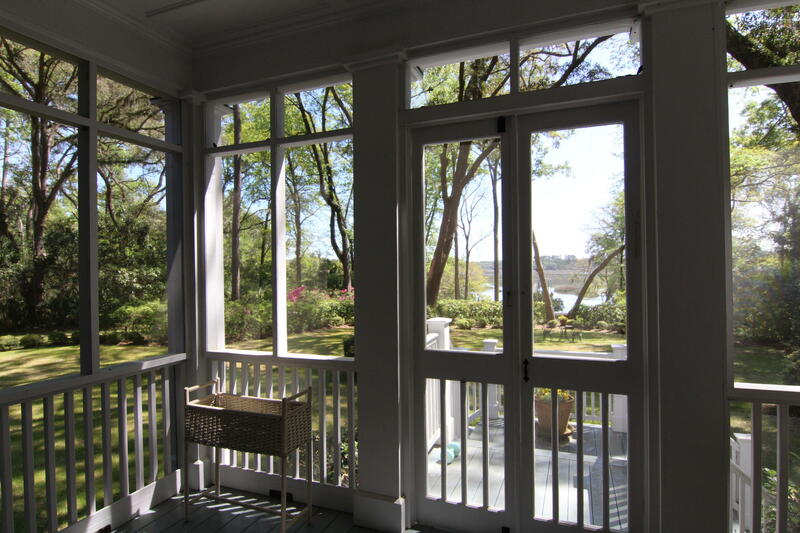 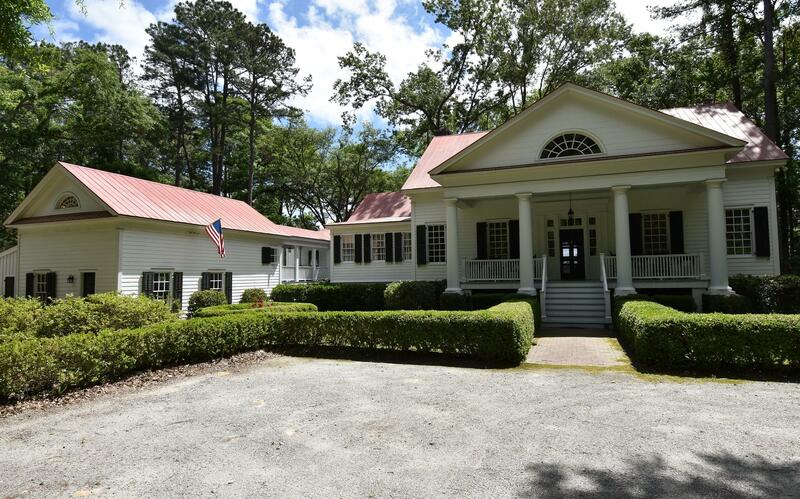 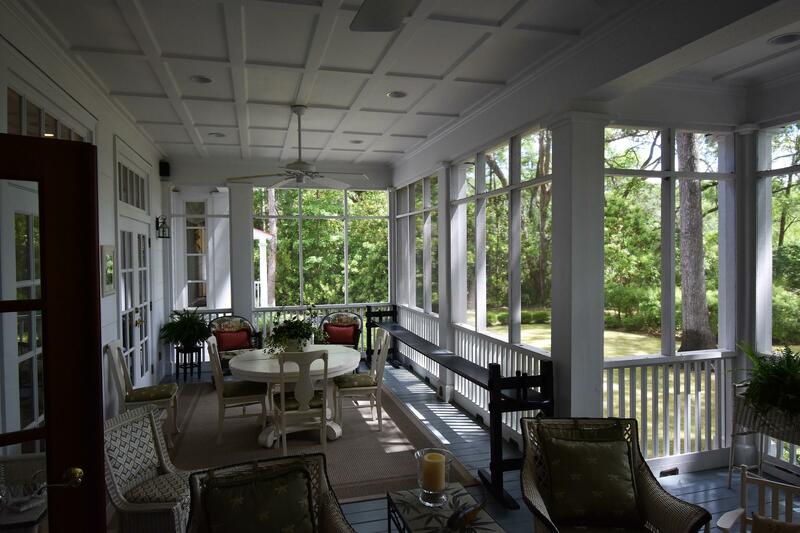 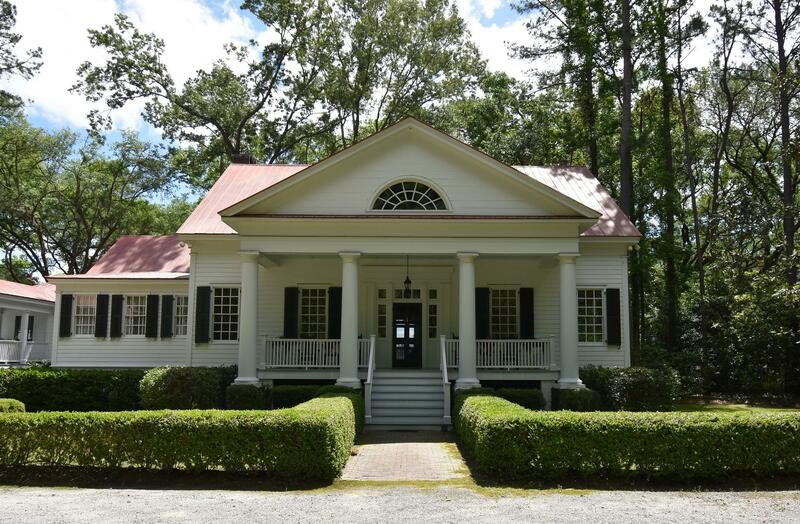 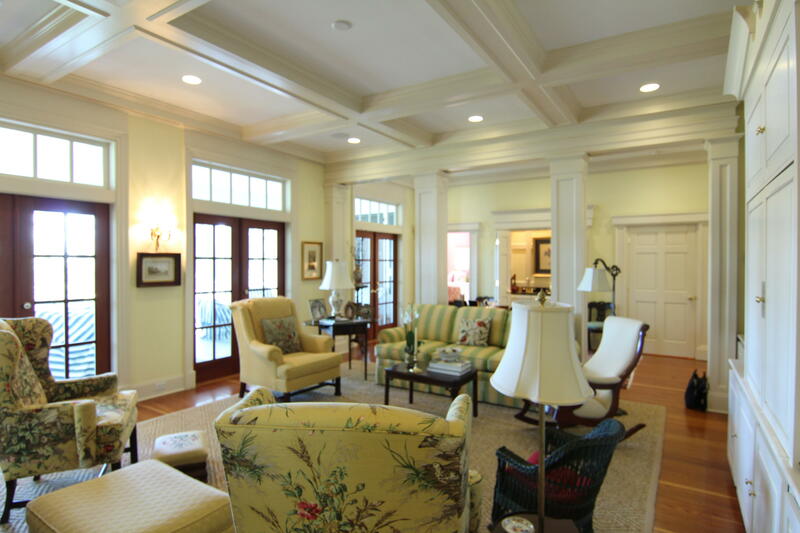 This raised Greek Revival Cottage with Carolina rain porch in a tranquil and private waterfront boasts 10' coffered ceilings, recessed dimmable lighting, and handsomely appointed woodwork with lots of natural light throughout. 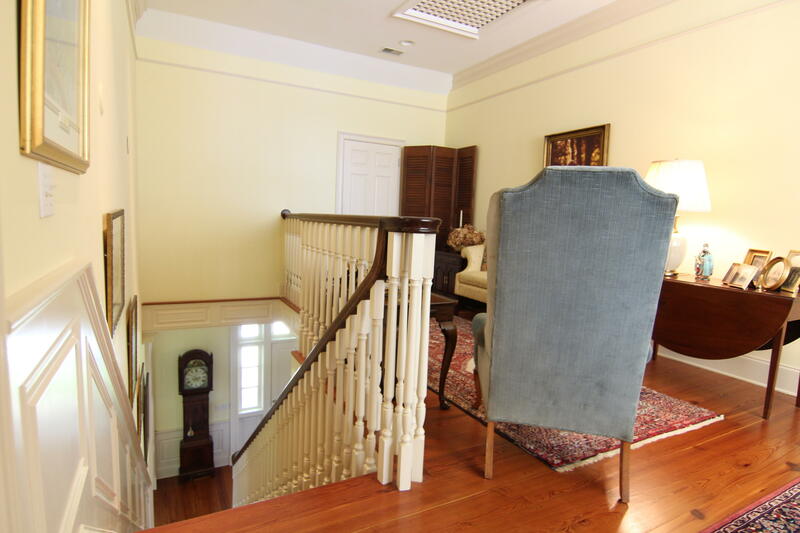 Heart pine flooring was re-purposed from a Pee Dee tobacco warehouse. 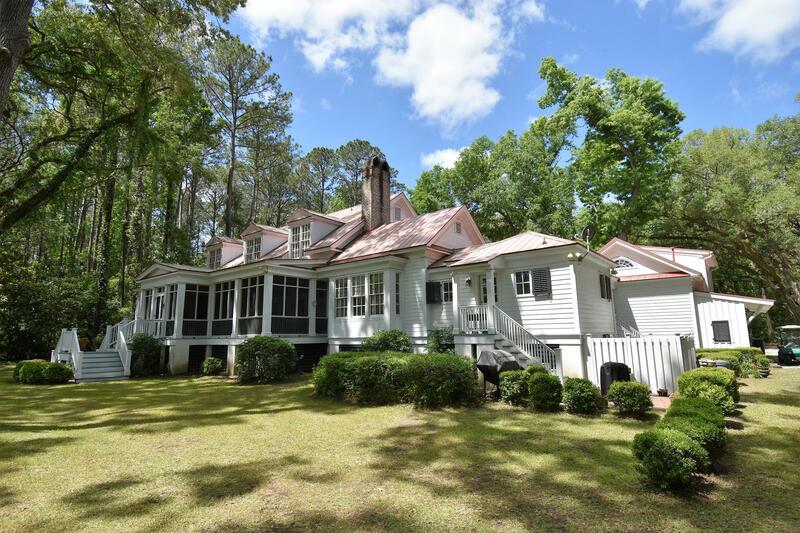 This truly beautiful home in a secluded setting provides three in-suite bedrooms plus a guest suite with kitchenette above the garage that can be accessed from the main house via covered porch. 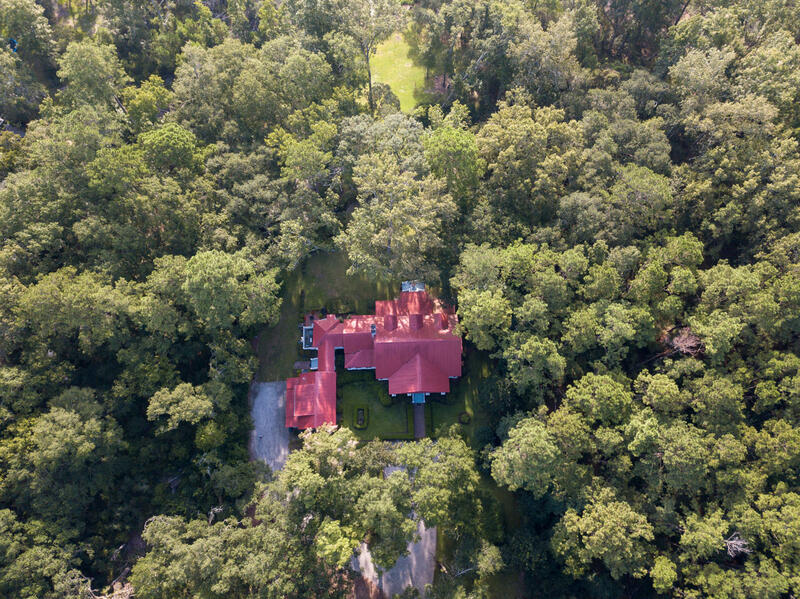 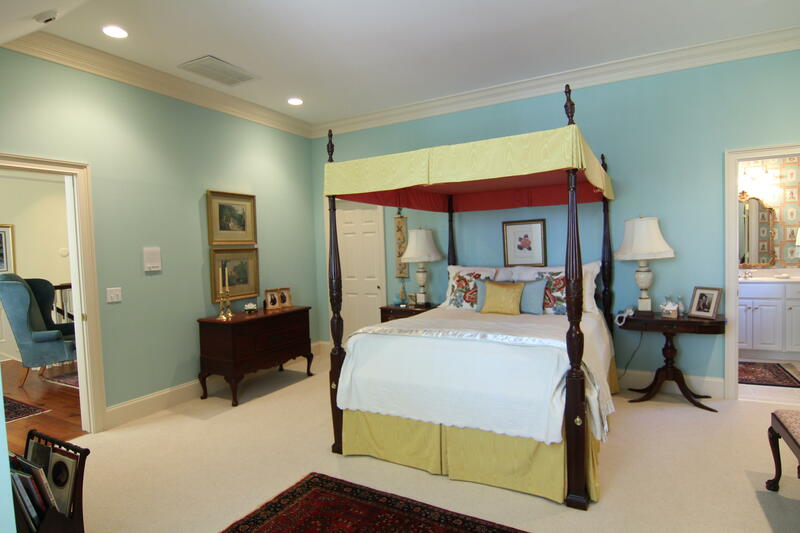 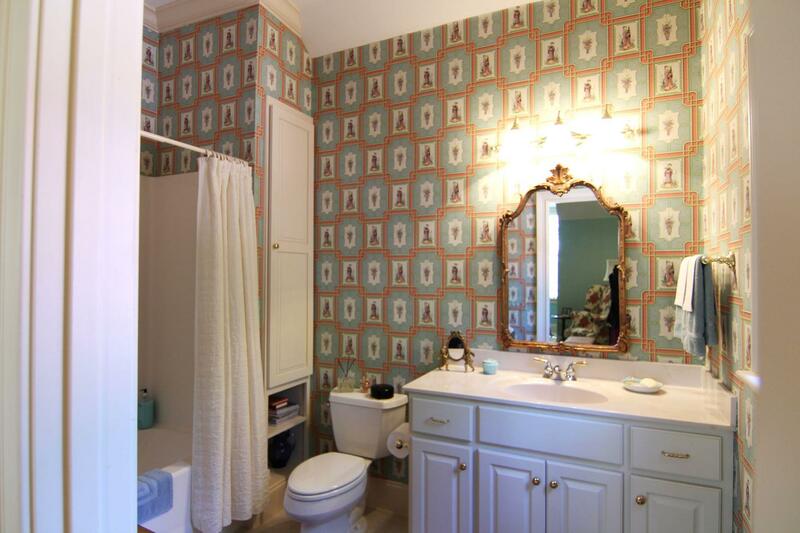 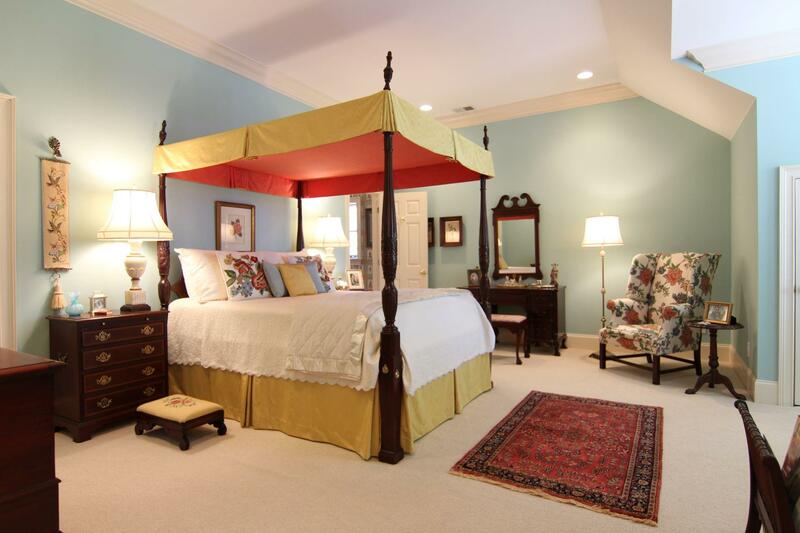 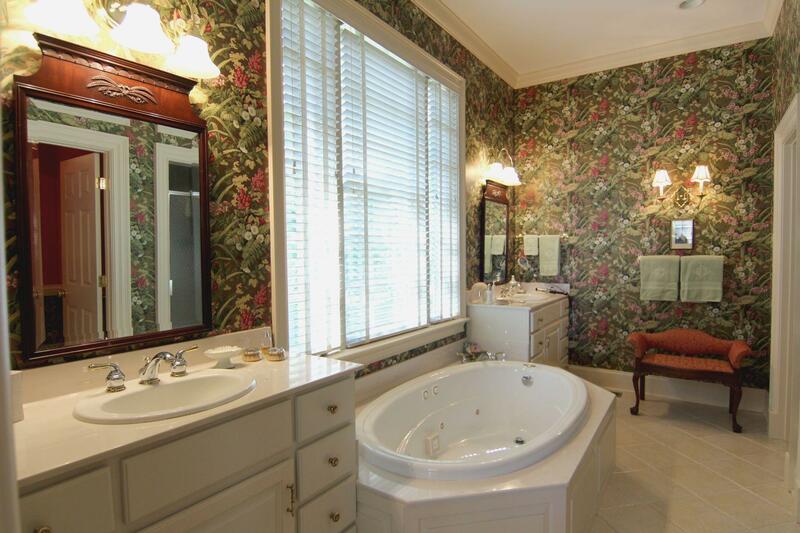 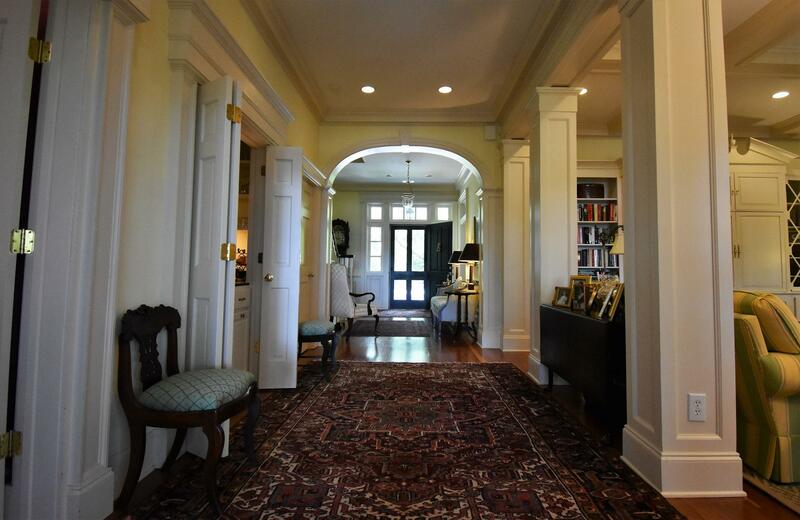 123 Bull Point Drive is a custom home designed by noted architect Jim Strickland and built in 2000. 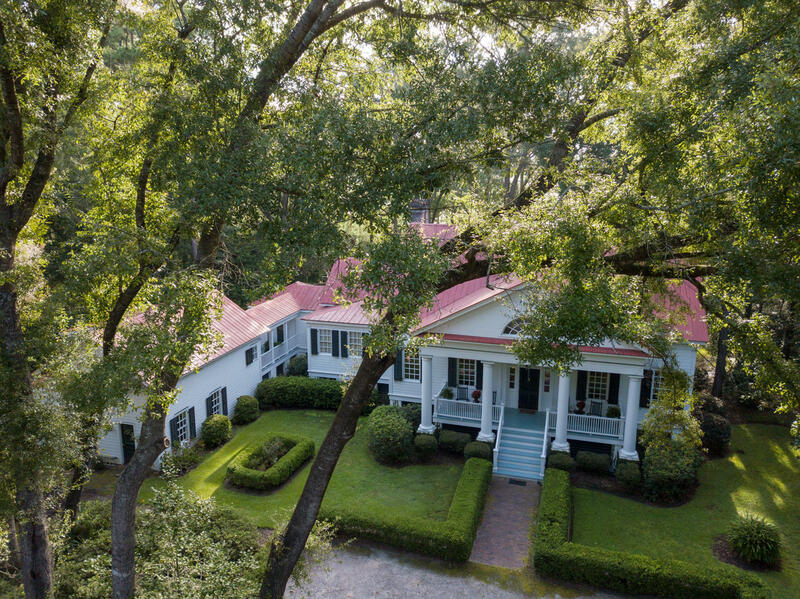 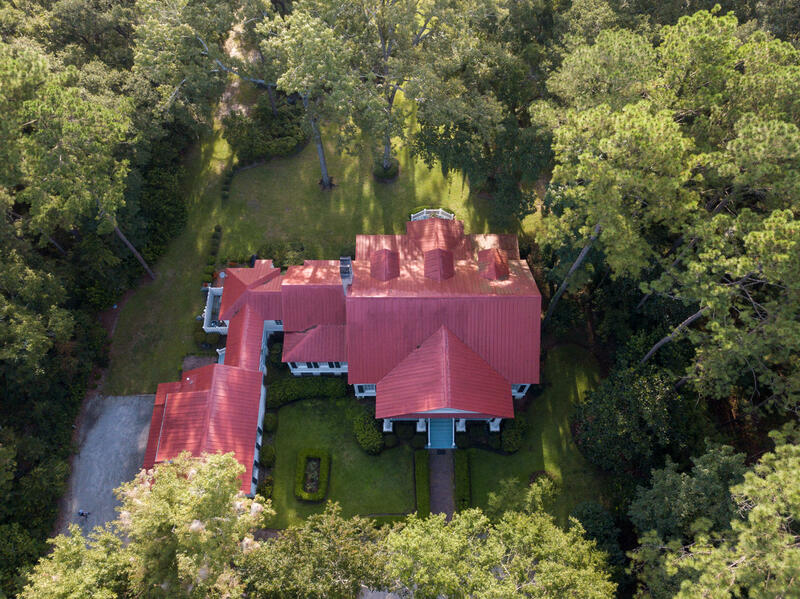 This unique home was designed to include finely detailed period construction with a clever layout resembling a third generation plantation with modern amenities. 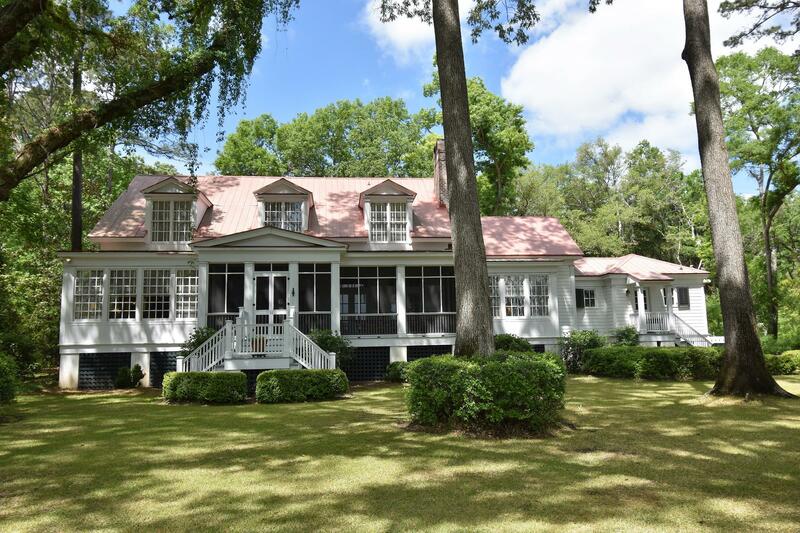 This raised Greek Revival Cottage with Carolina rain porch in a tranquil and private waterfront boasts 10' coffered ceilings, recessed dimmable lighting, and handsomely appointed woodwork with lots of natural light throughout. 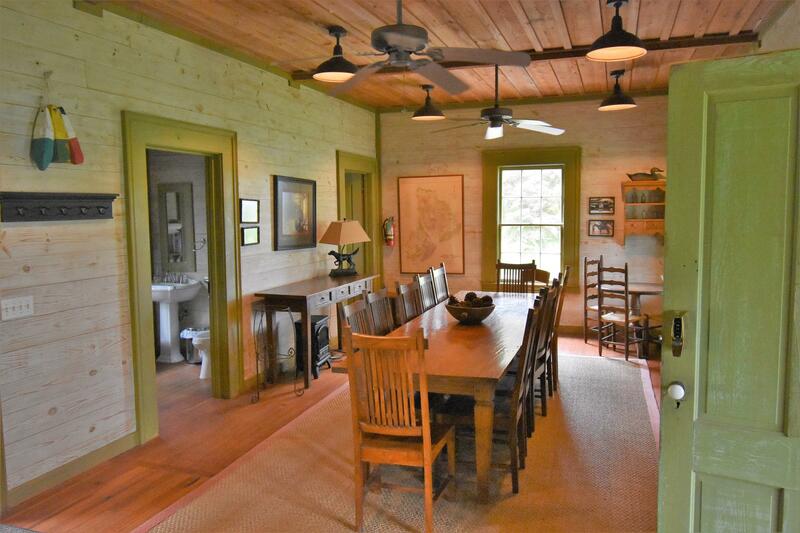 Heart pine flooring was repurposed from a Pee Dee tobacco warehouse. 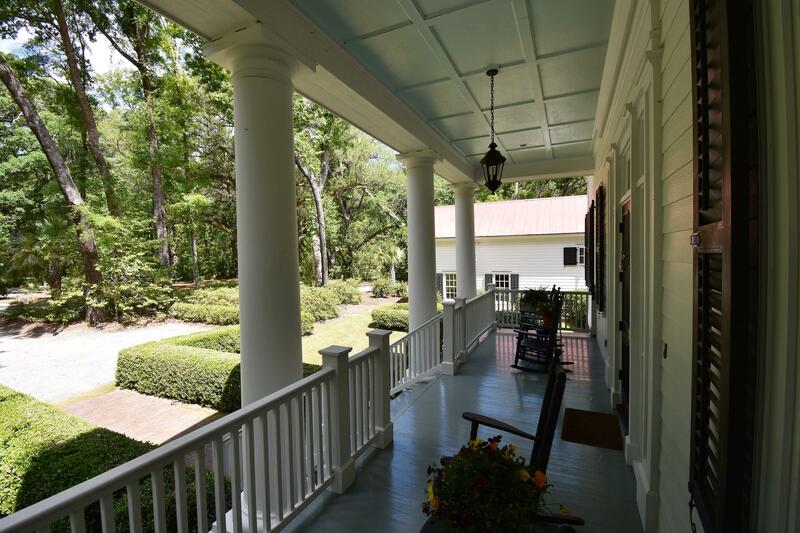 This truly beautiful home in a secluded setting provides three in-suite bedrooms plus a guest suite with kitchenette above the garage that can be accessed from the main house via covered porch. 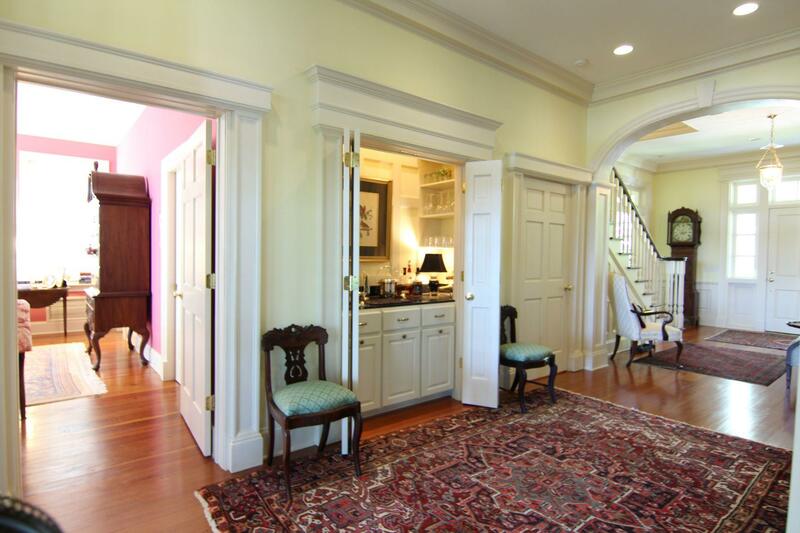 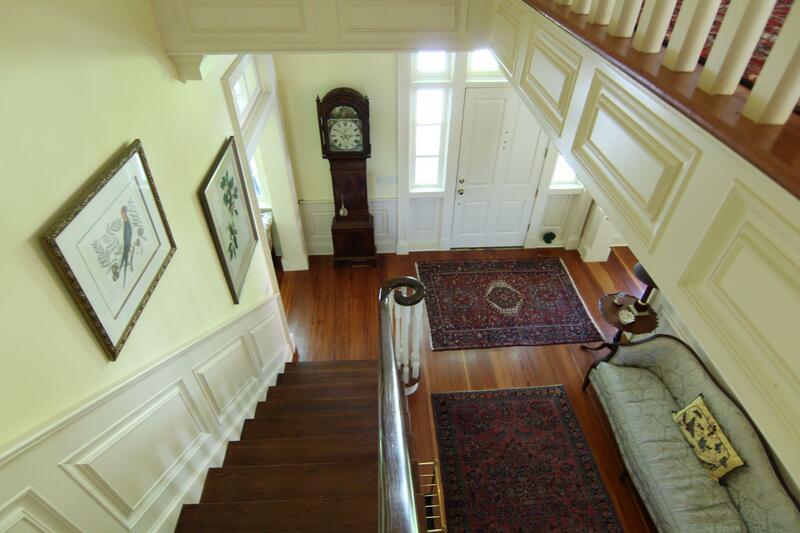 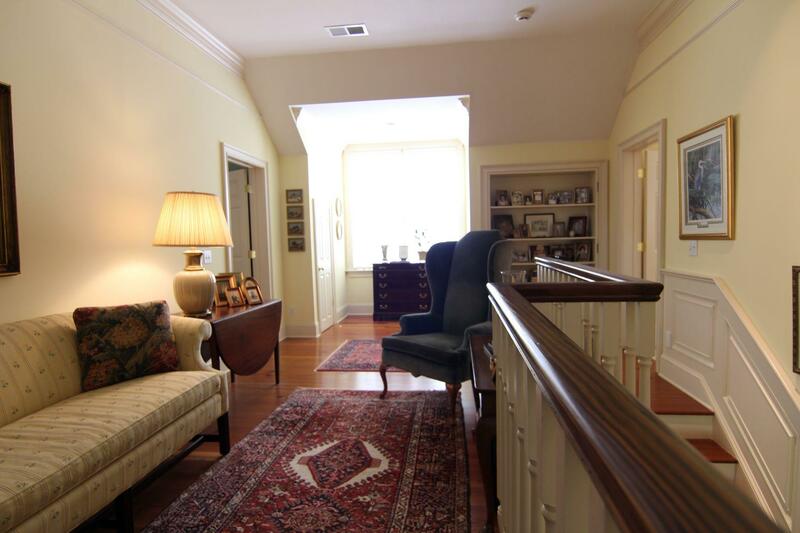 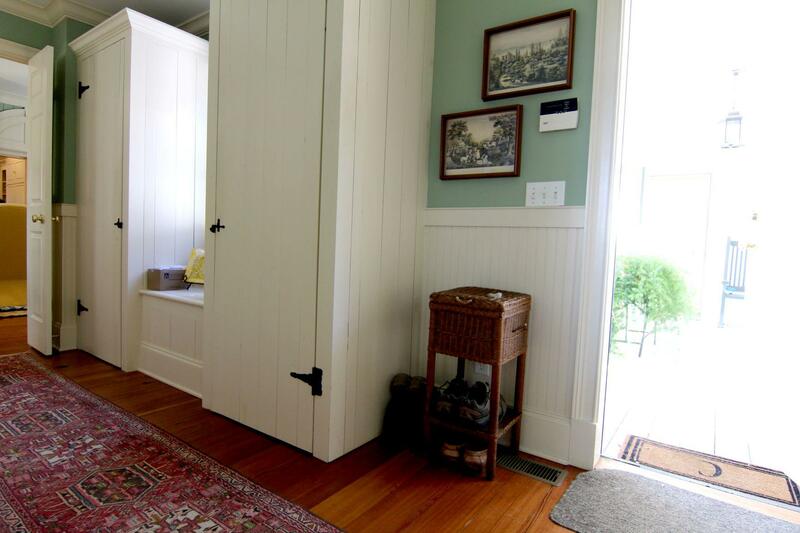 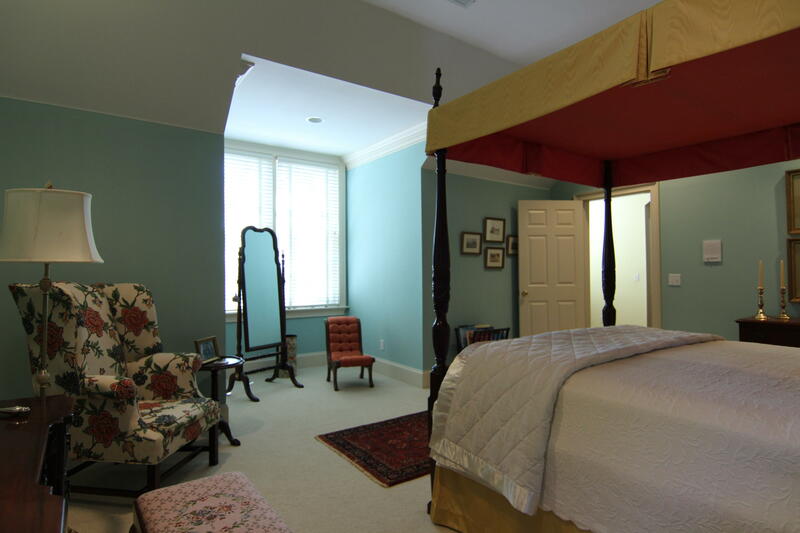 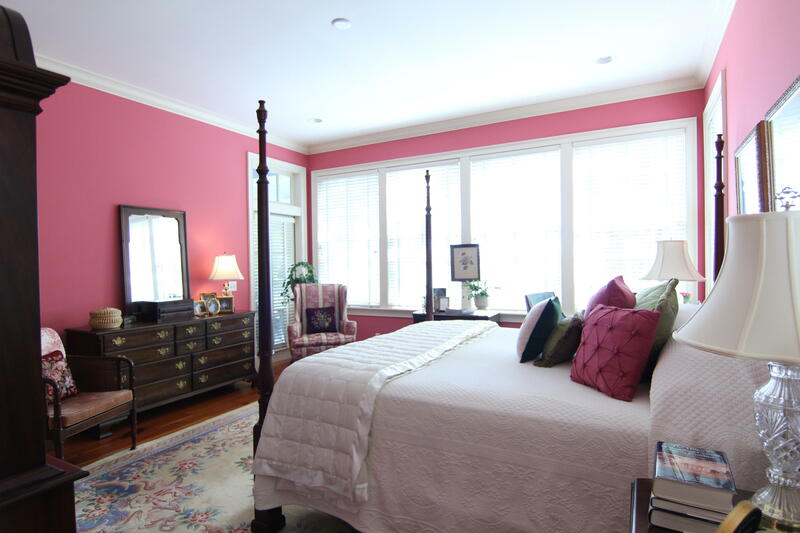 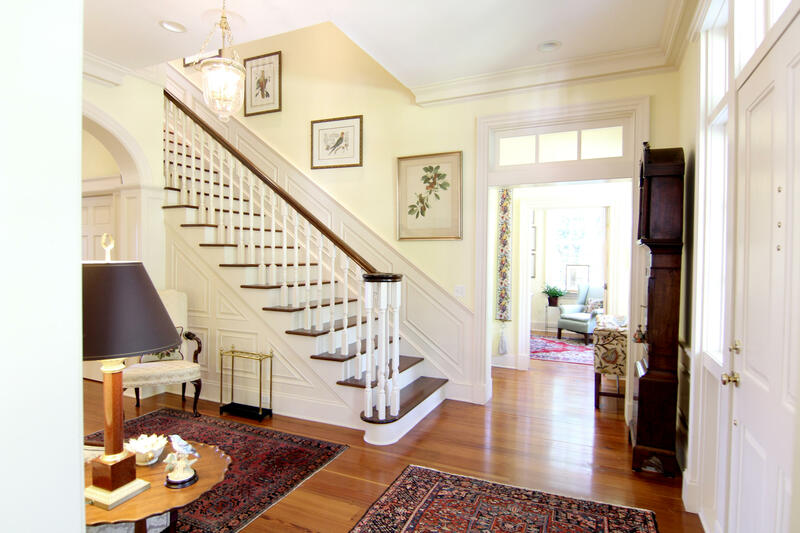 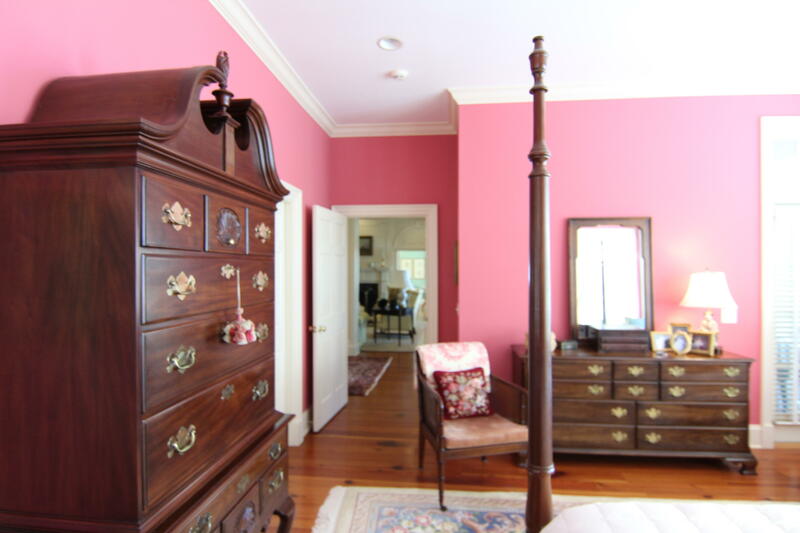 The front hall leads both to a private studio and stairs to second floor guest suites. 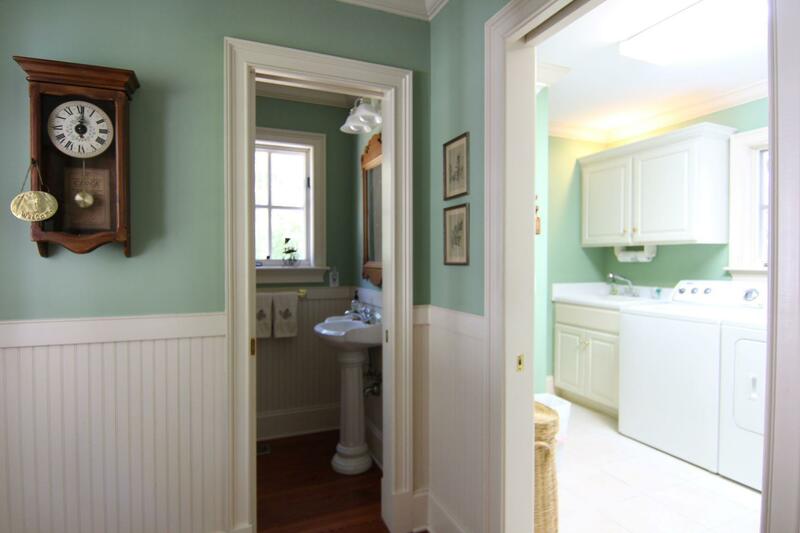 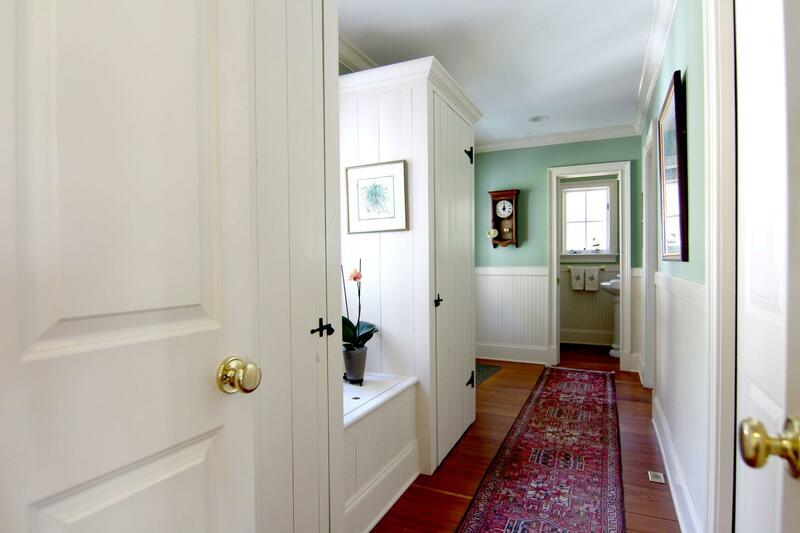 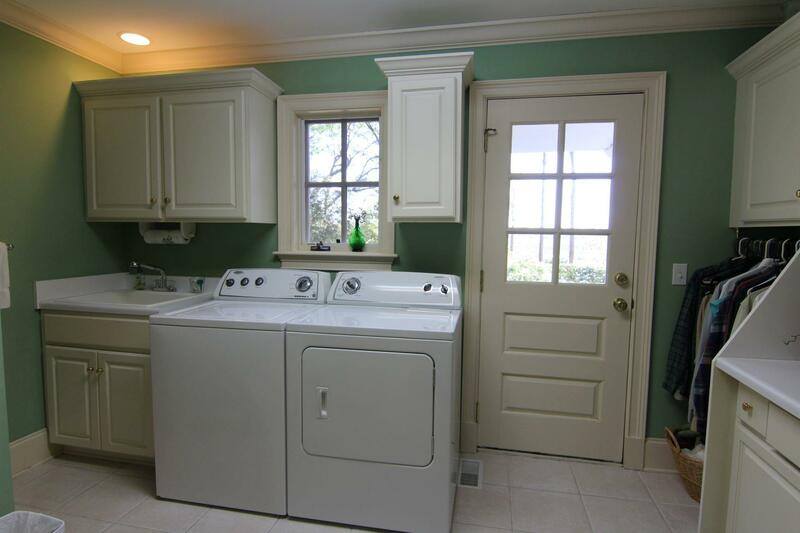 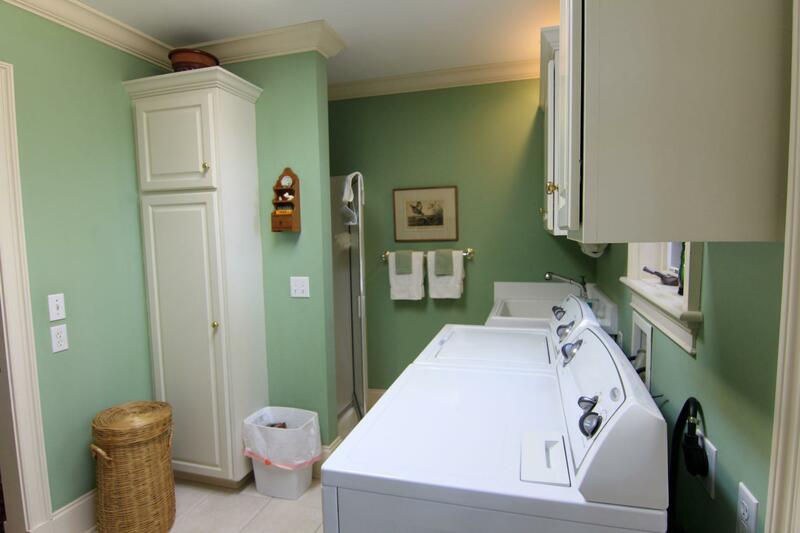 Large closets and lots of storage space throughout the home, to include mud room with his and her closets, laundry center with walk-in shower, and workshop area in an oversized two-car garage. 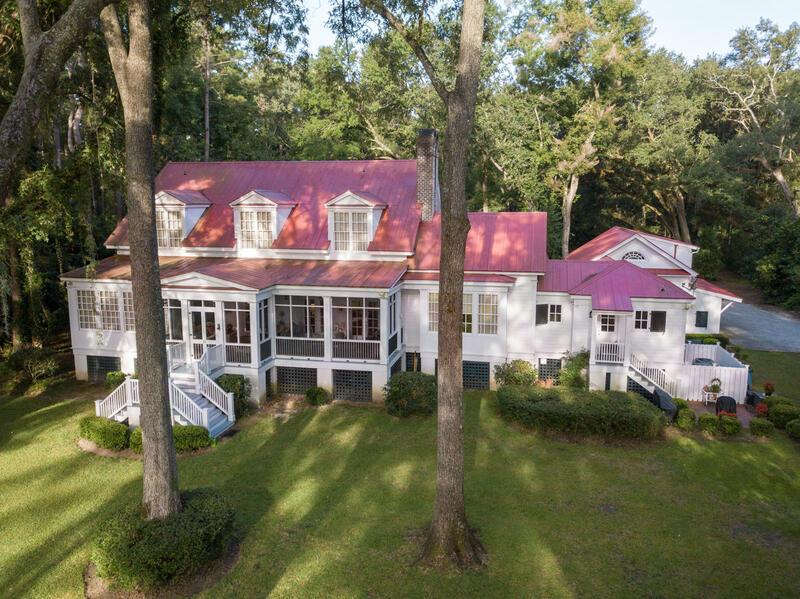 The spacious sitting room with significant built-ins to include a wet bar and wood-burning fireplace leads to a first-floor master suite and large screened porch with views of Huspa Creek. 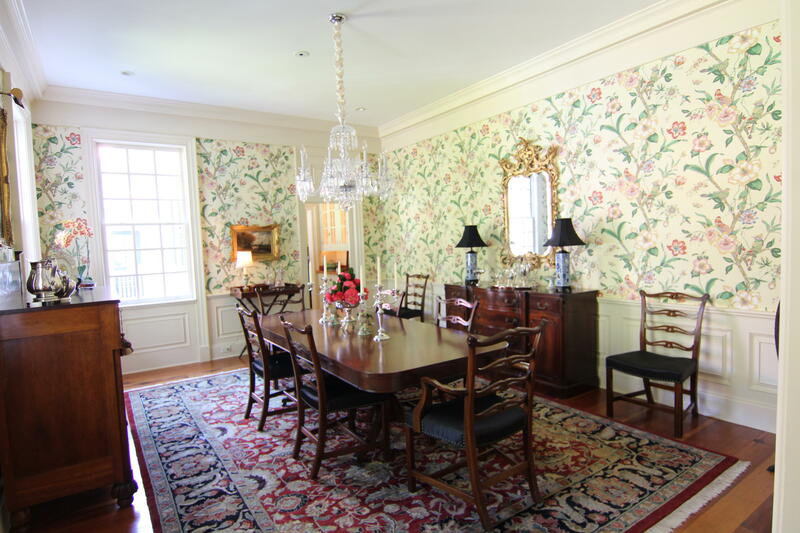 The formal dining room includes a modern butler's pantry leading into a custom eat-in kitchen also with wood burning fireplace. 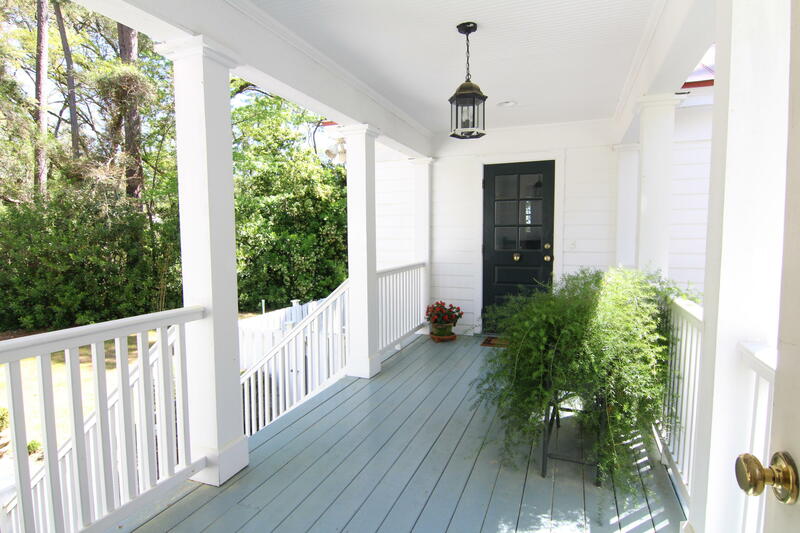 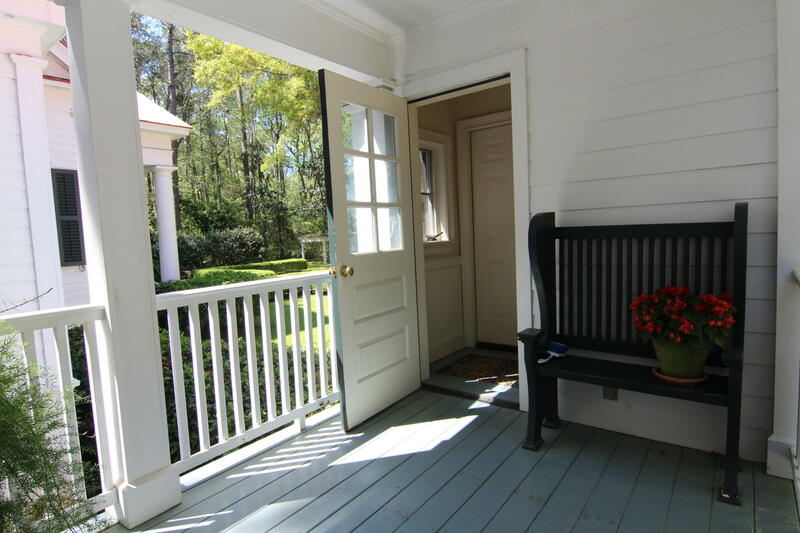 4274 square feet of living space and approximately 780 square feet of porch living, 350+ of which is a screened-in veranda overlooking the Huspa Creek and rolling lawn poised for terraced gardening. 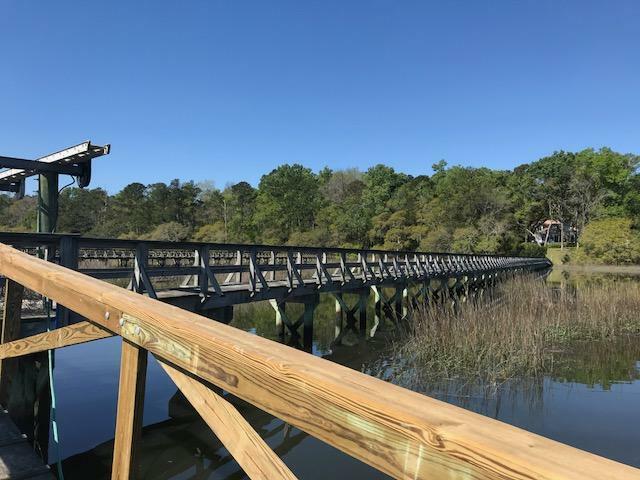 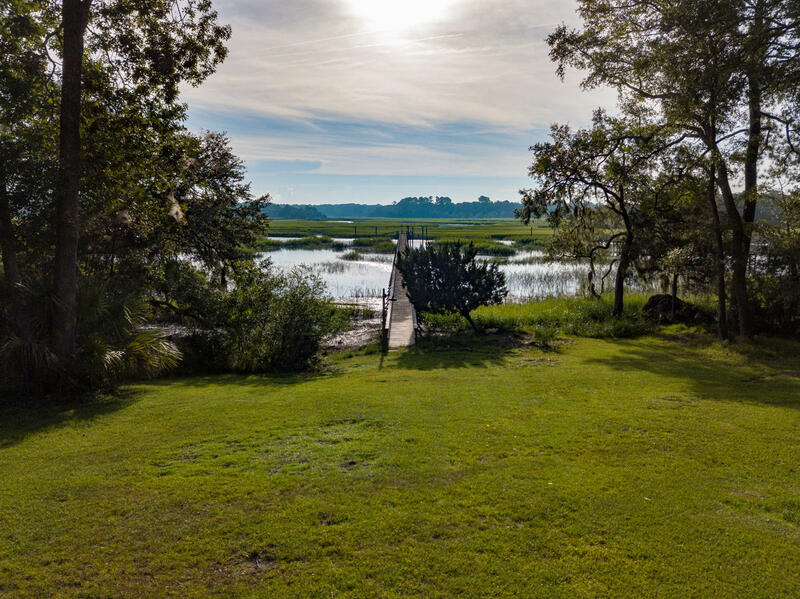 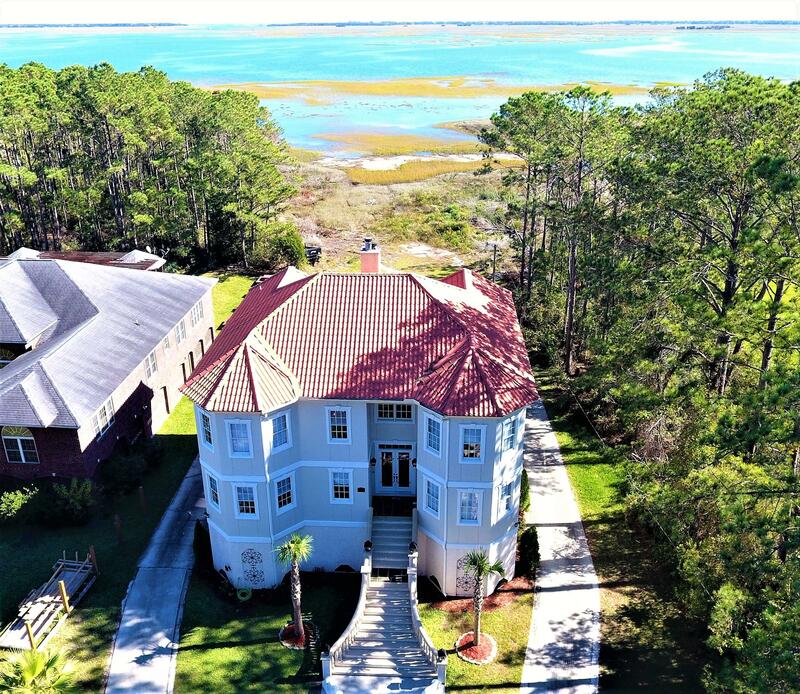 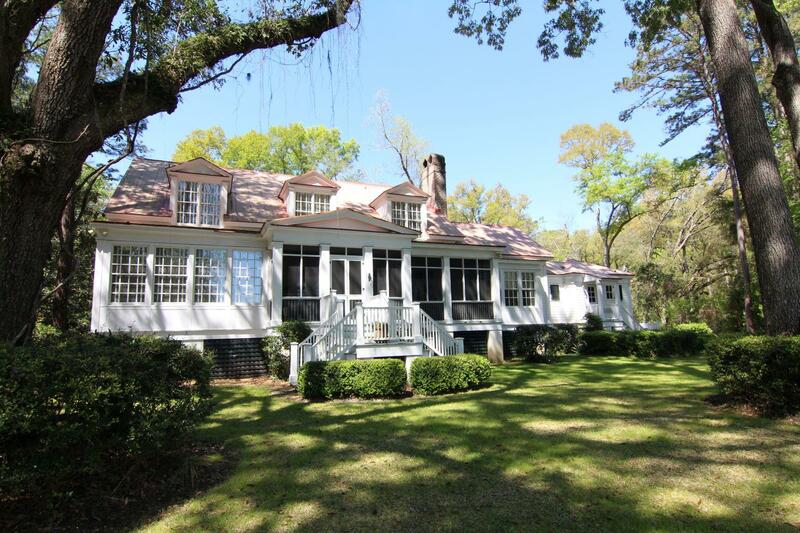 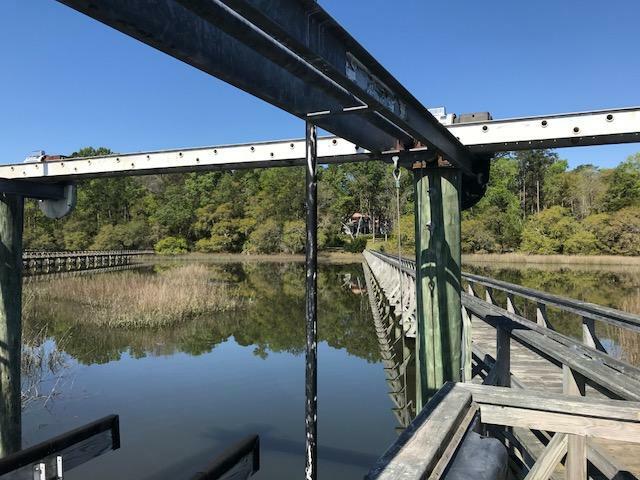 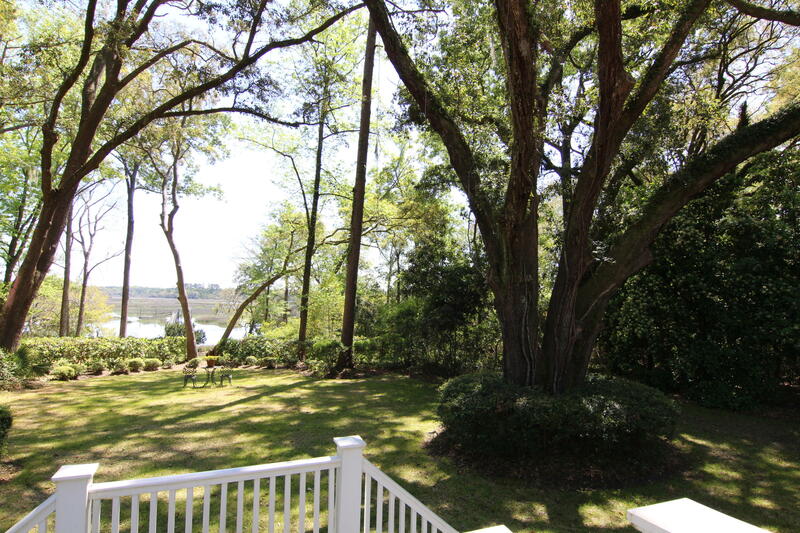 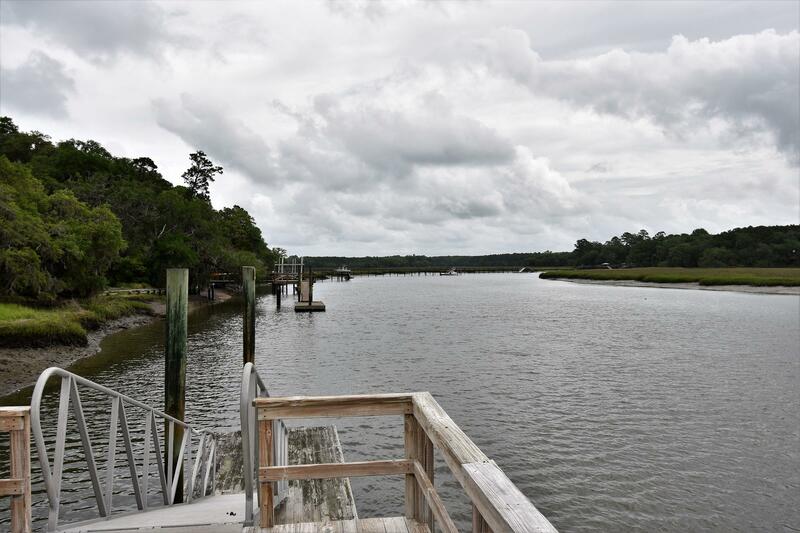 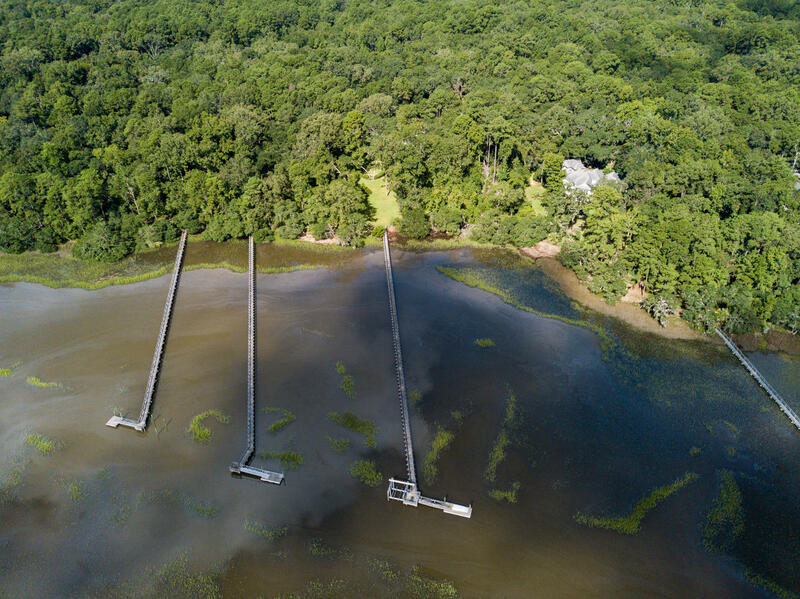 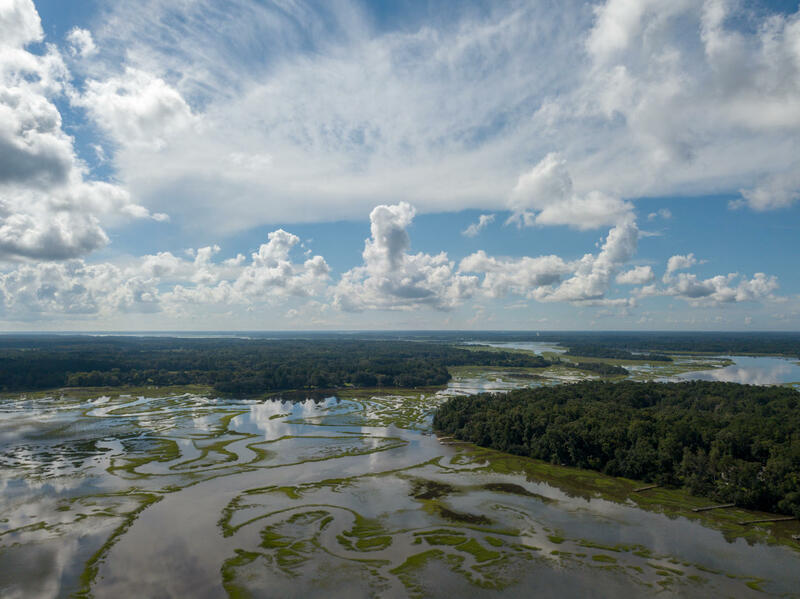 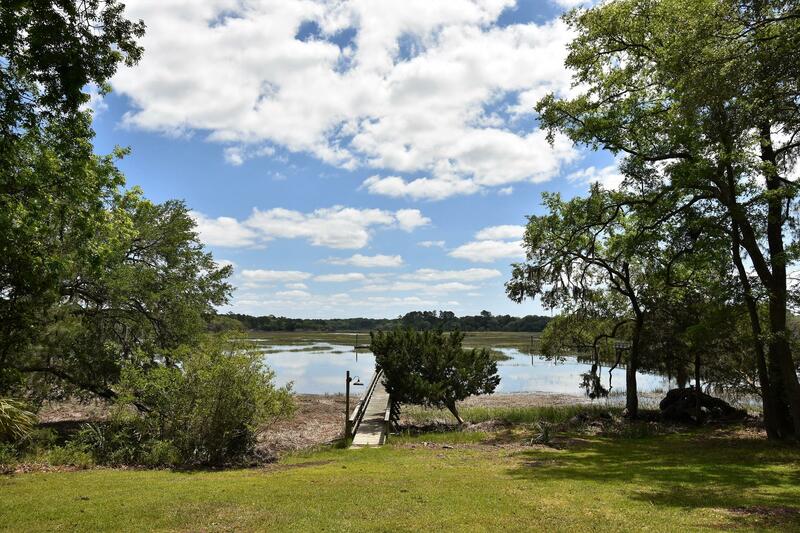 Beautiful creek and marsh views with and private dock include 2.3+ acres of old growth trees and mature shrubs include a Scuppernong vine arbor, fig trees, and many magnolias. 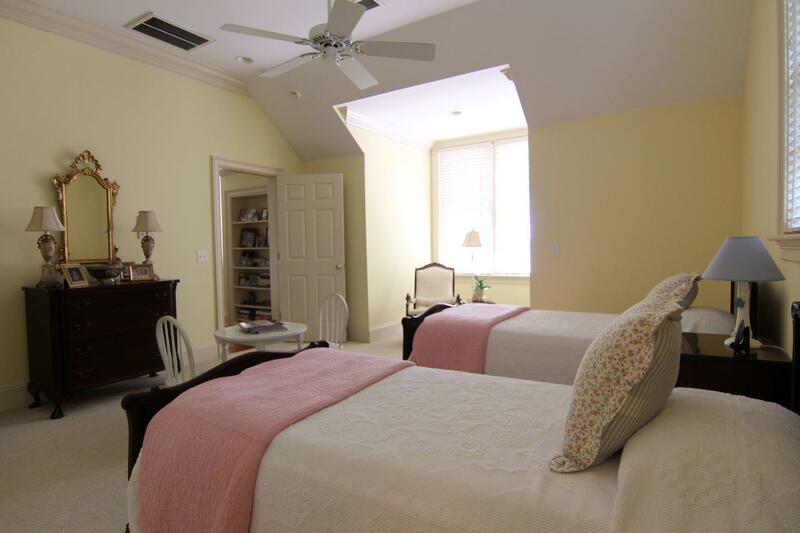 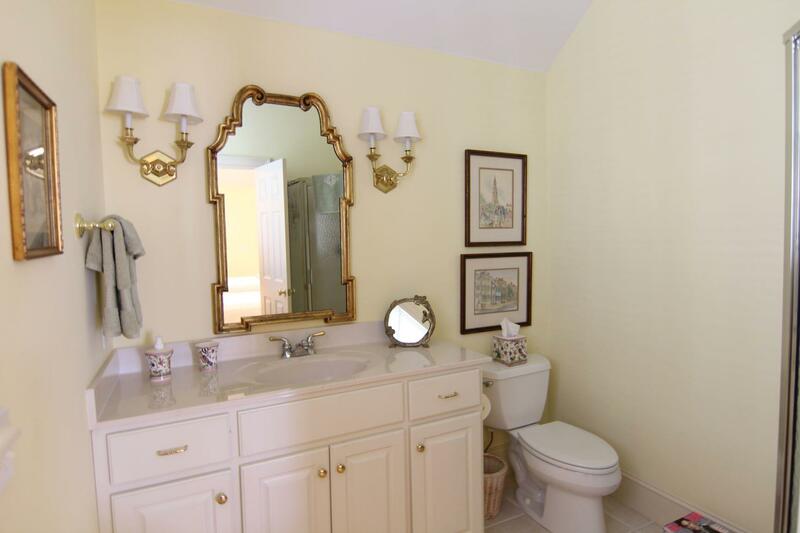 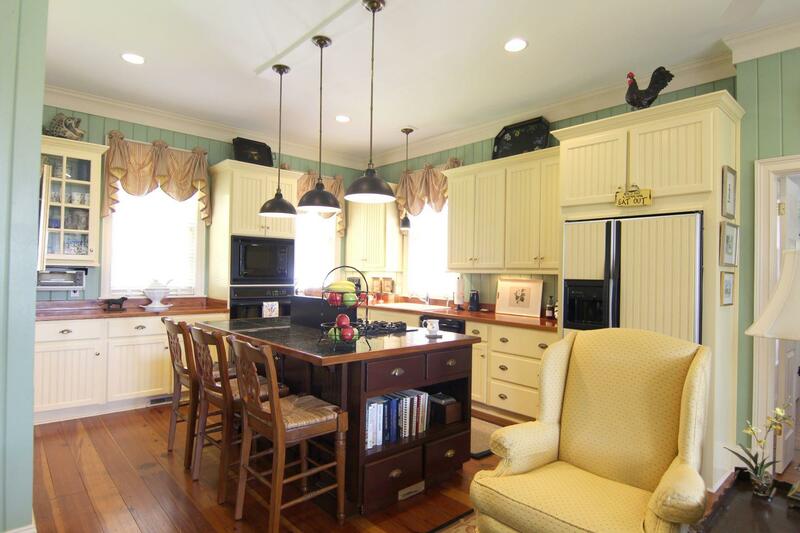 All nestled within the 700+-acre Bull Point community located right off of Route 17. 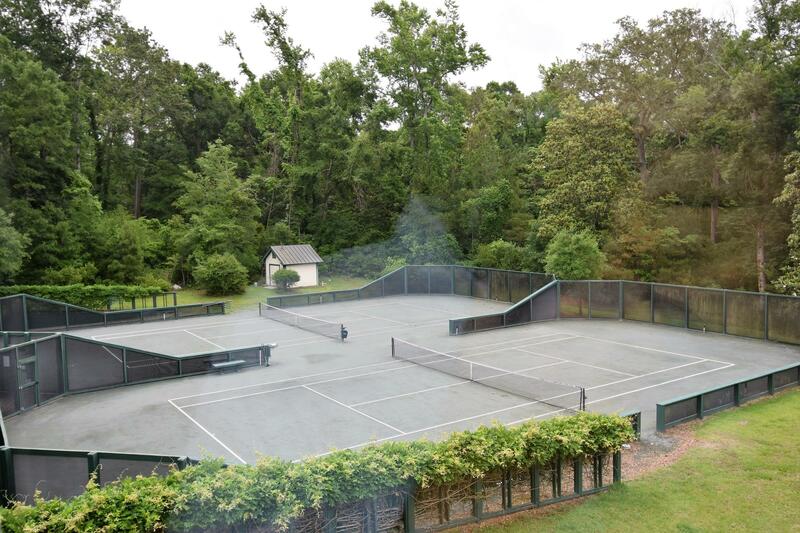 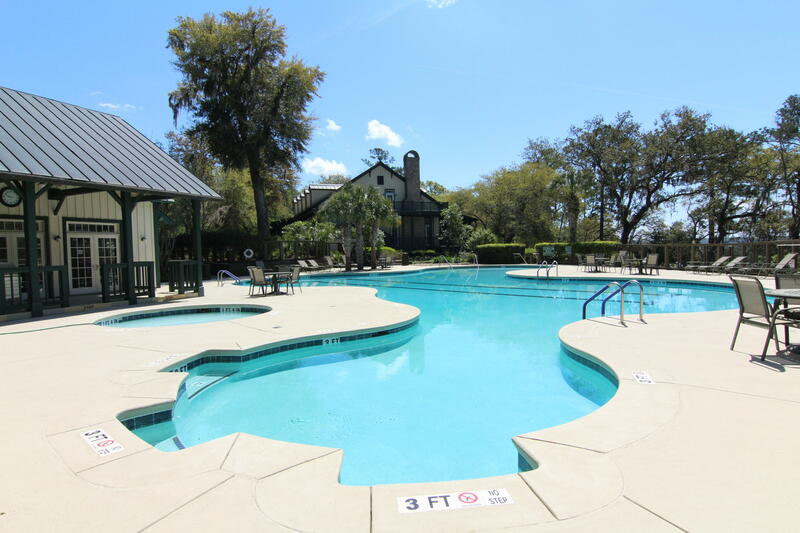 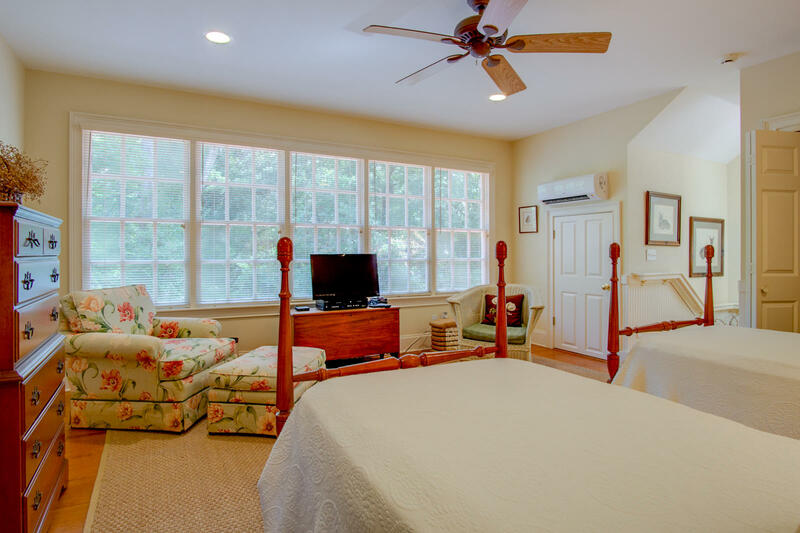 Quietly enjoy the amenities: clay tennis courts; clubhouse with gym, sauna; pool with pool house and hot tub, library; private islands with dock accessible by golf cart or boat with pavilion for social functions as well as the original rustic sportsman's lodge with dock to entertain. 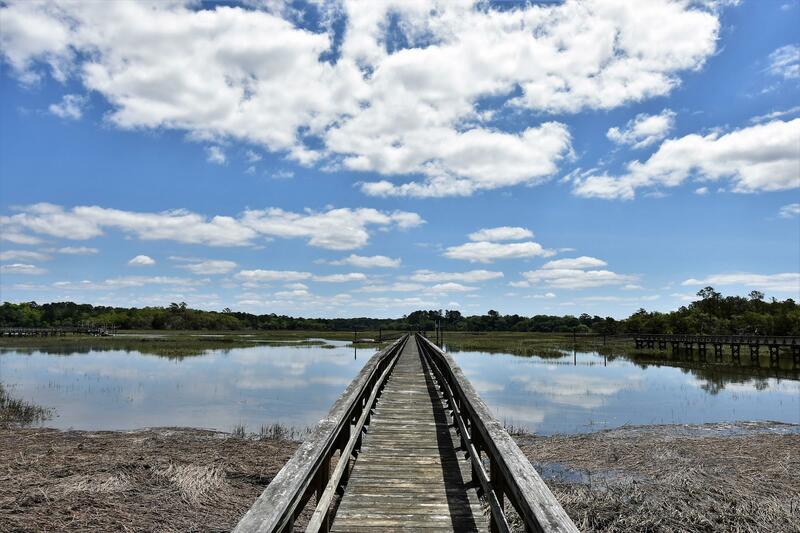 Scattered fresh water lakes provide additional fishing and recreational opportunities. 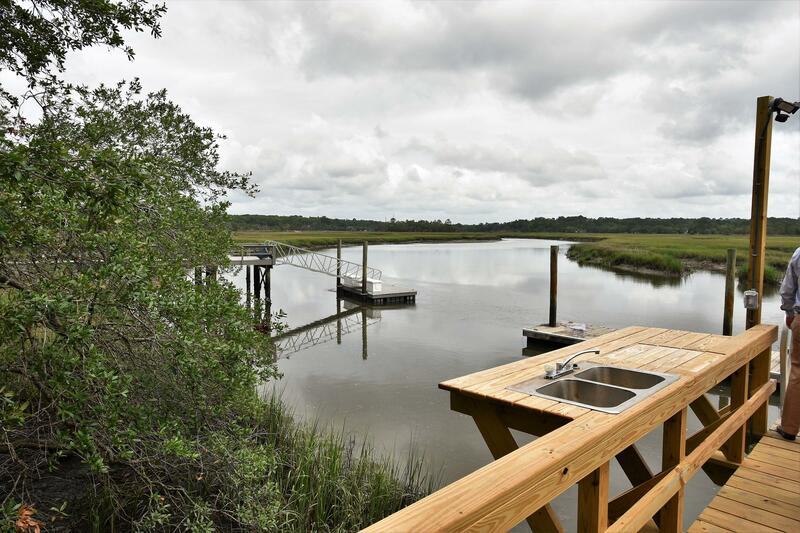 There are many water access points to the Little Huspa and Whale Branch River above the home's private dock with 11,000 lb lift. 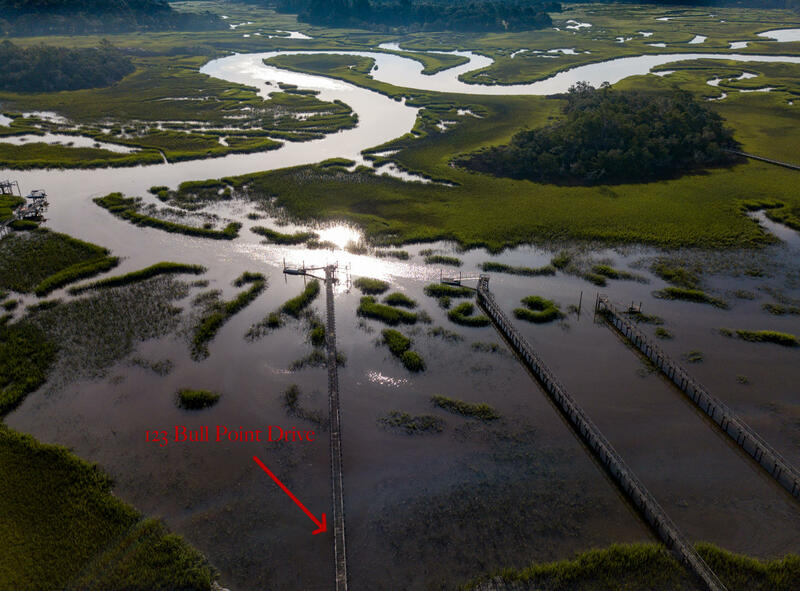 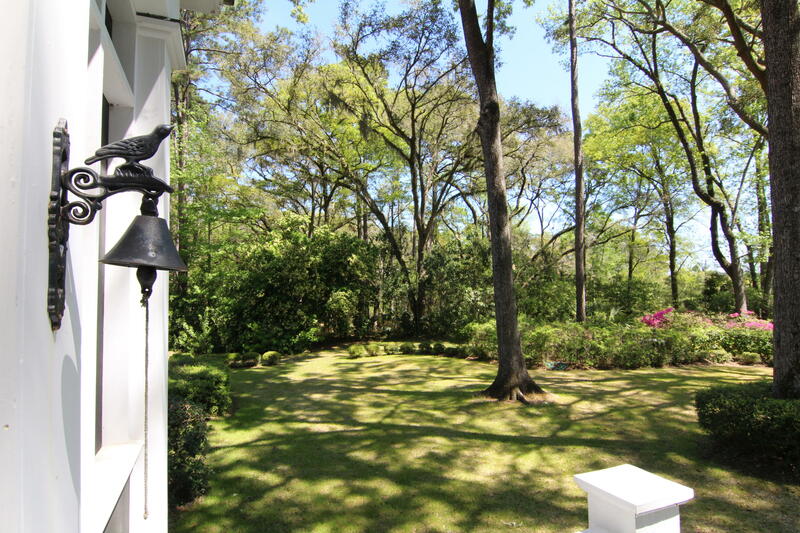 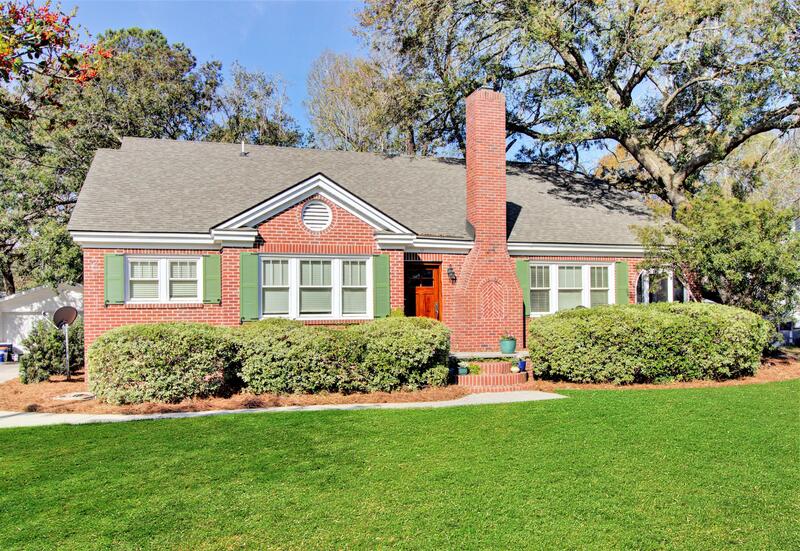 Many private, semi-private, and public golf courses in the vicinity including Brays Island. 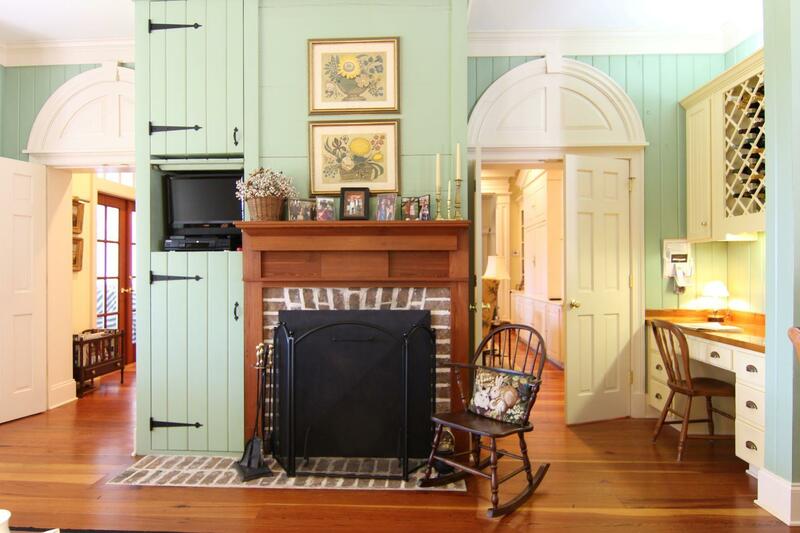 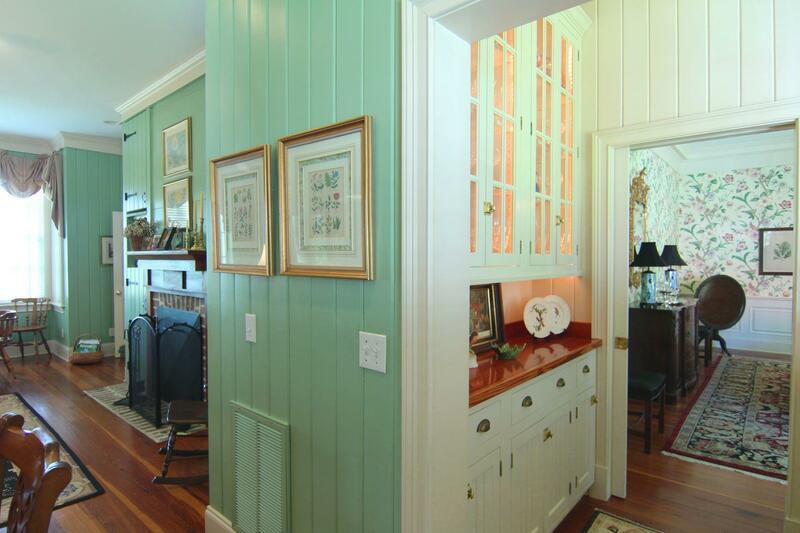 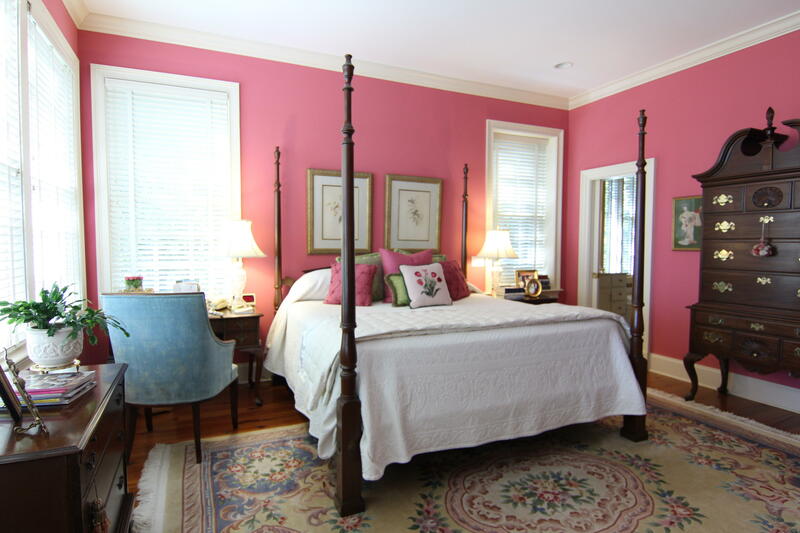 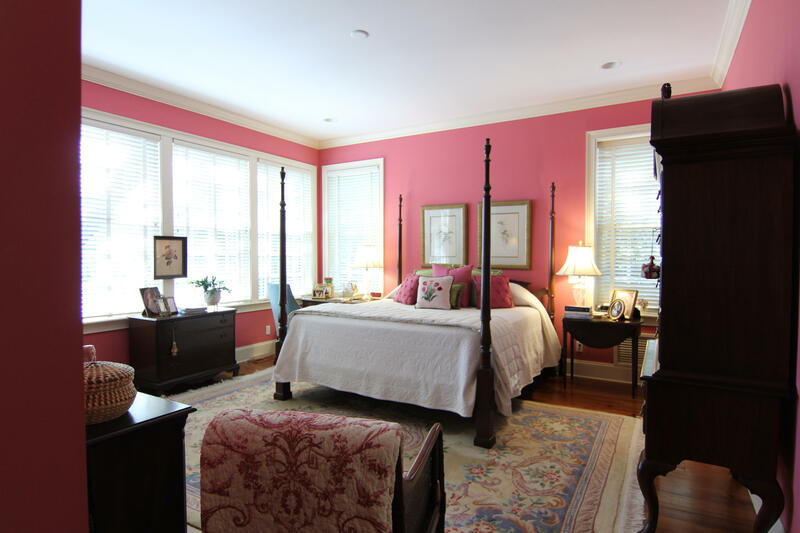 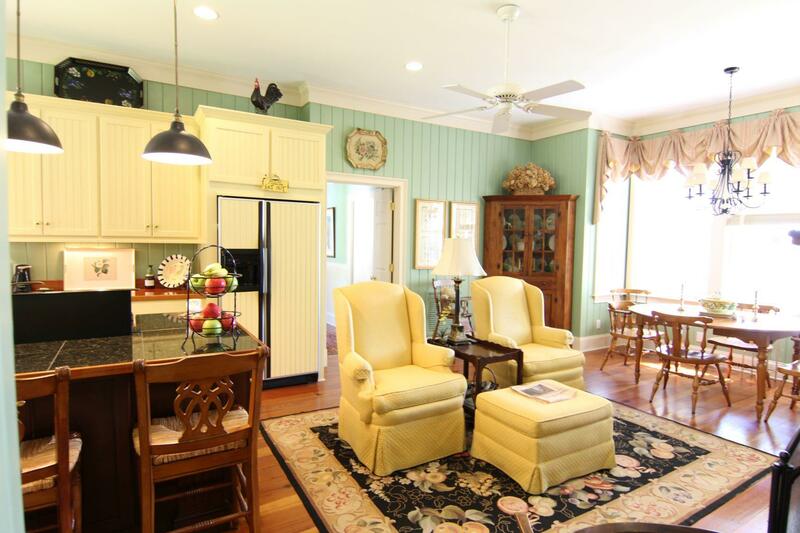 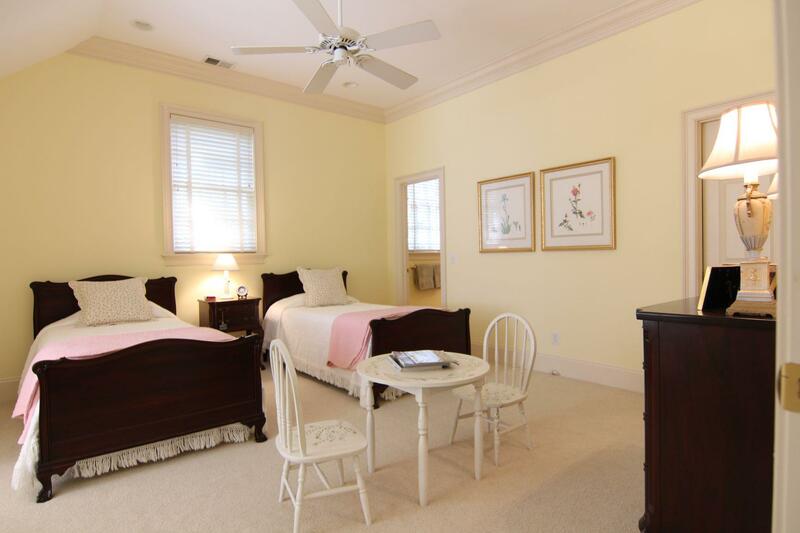 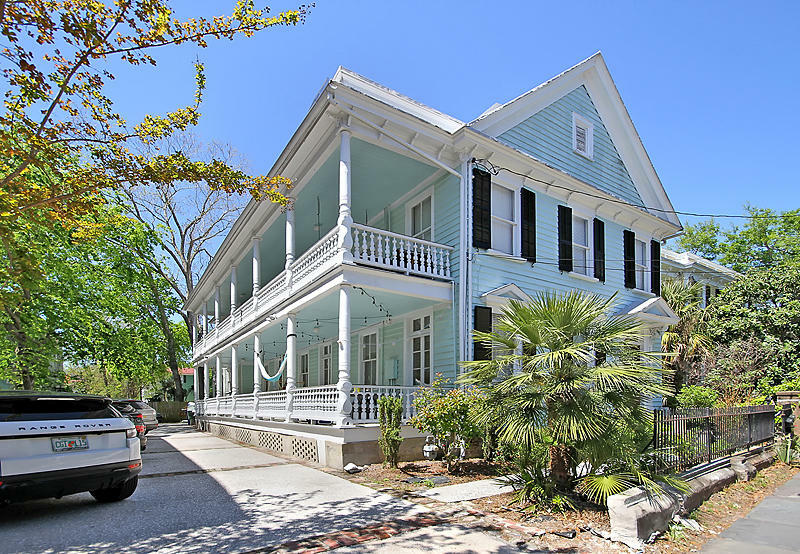 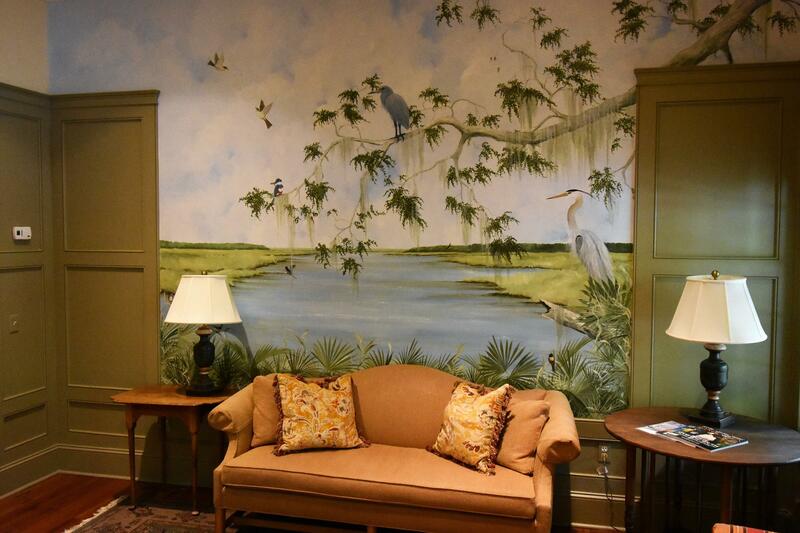 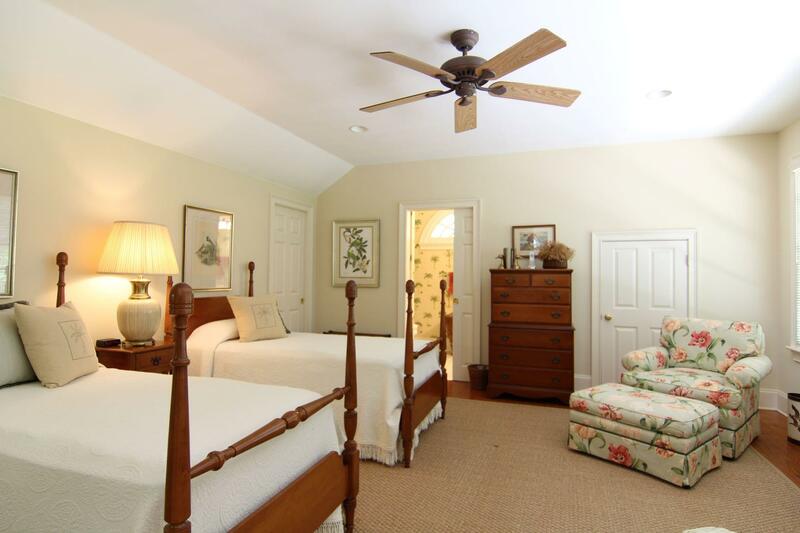 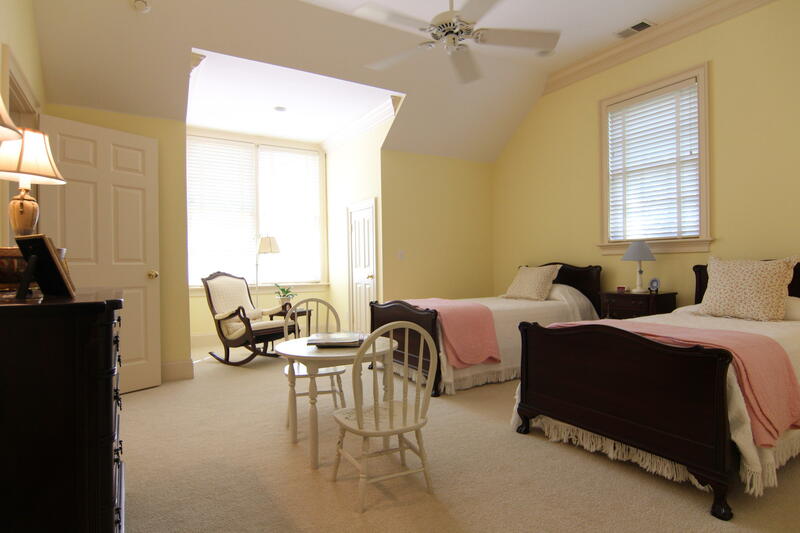 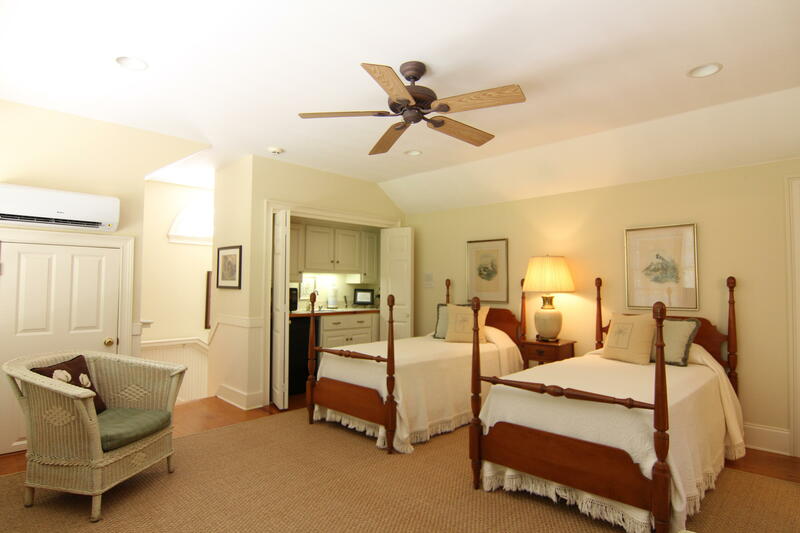 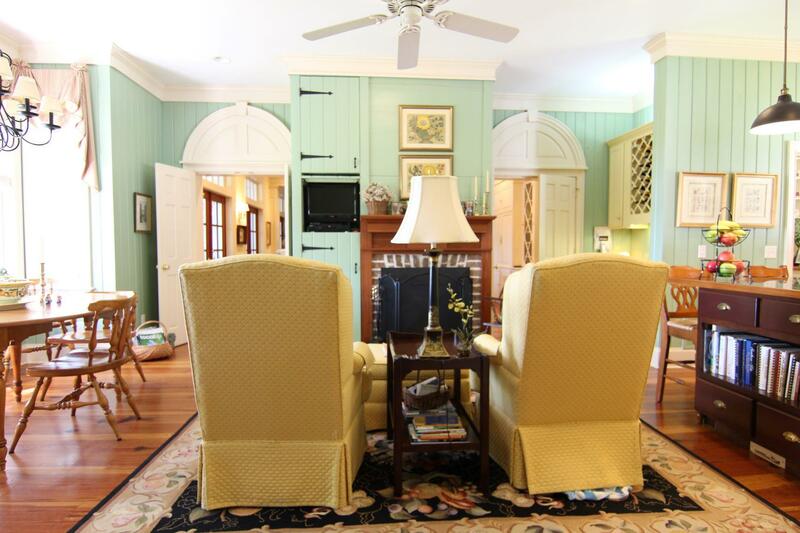 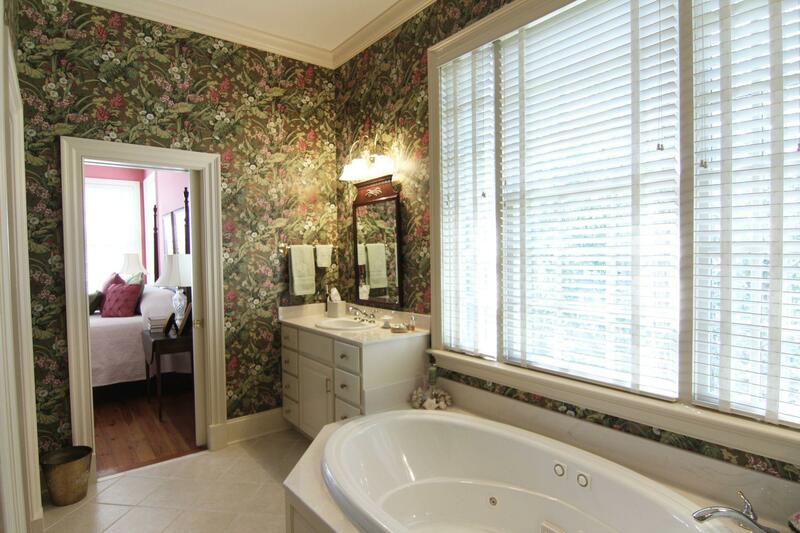 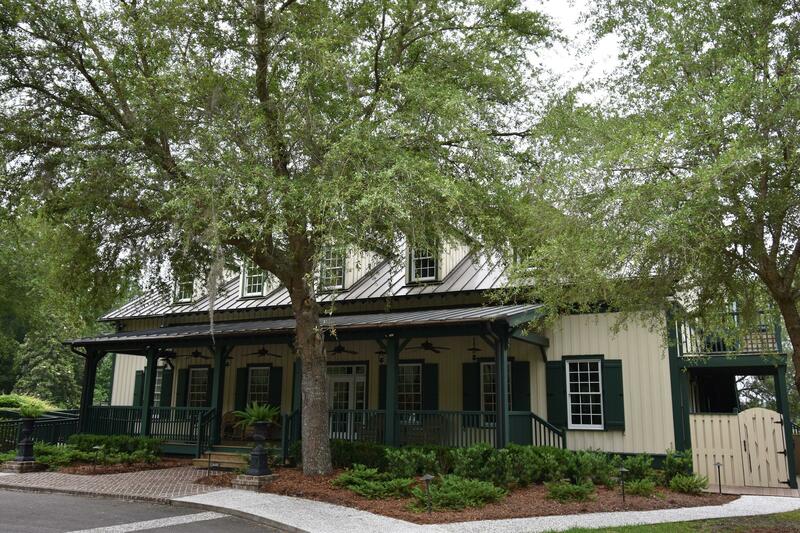 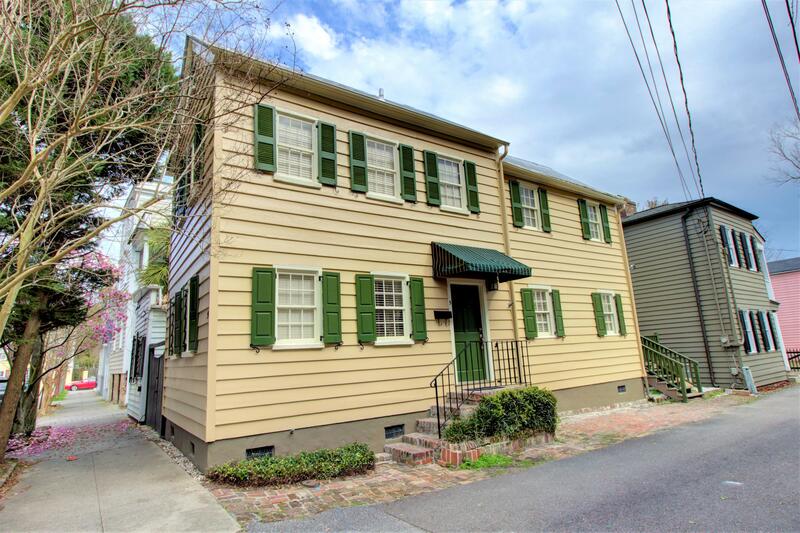 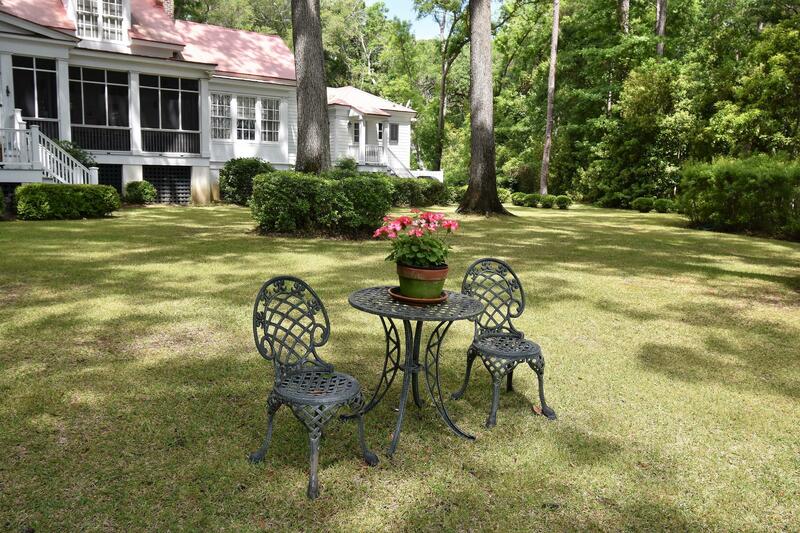 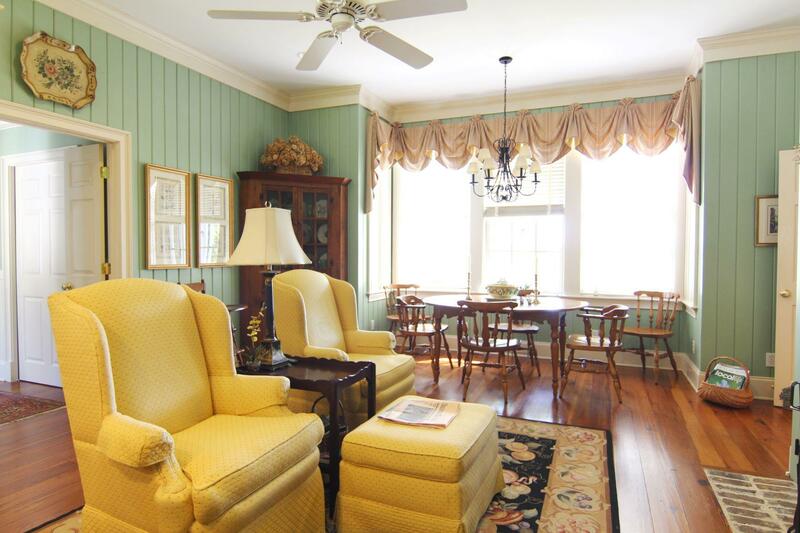 Close to fine dining and shopping in historic Beaufort. 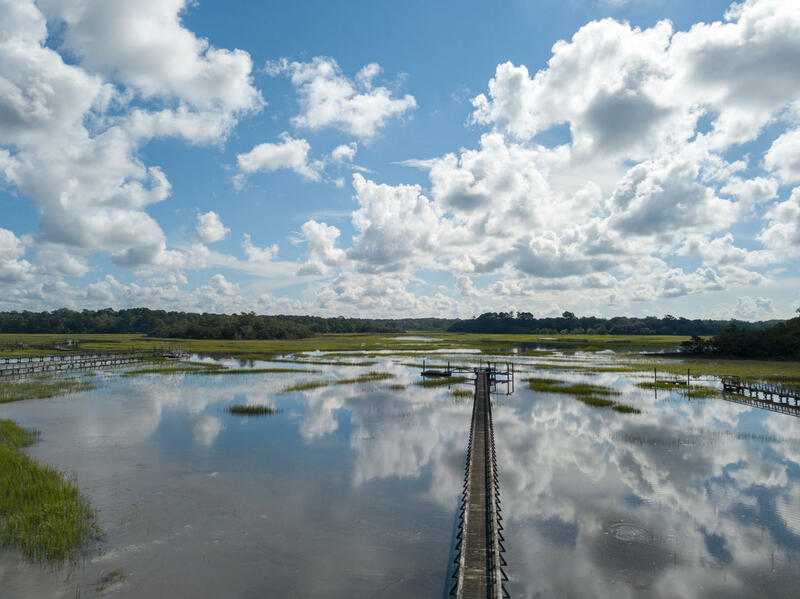 Charleston and Savannah airports under an hour away. 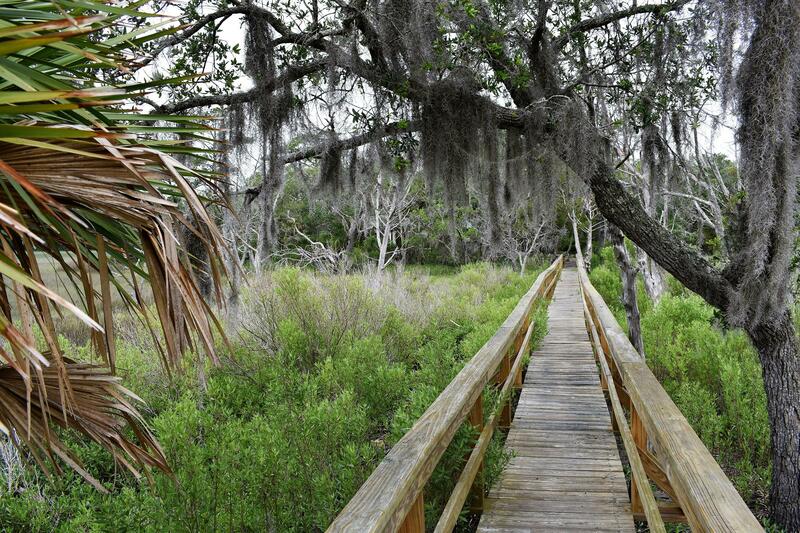 Sheldon Church ruins are a 30-minute walk. 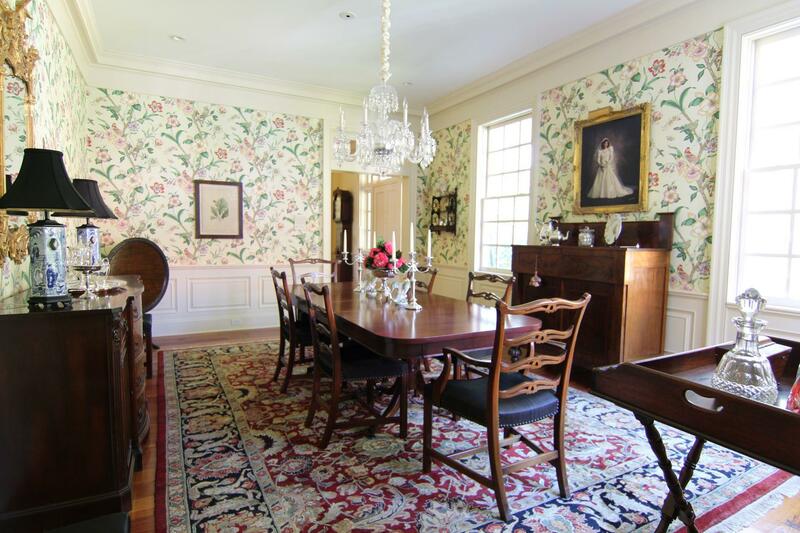 Seller will entertain conveyance of some furniture.